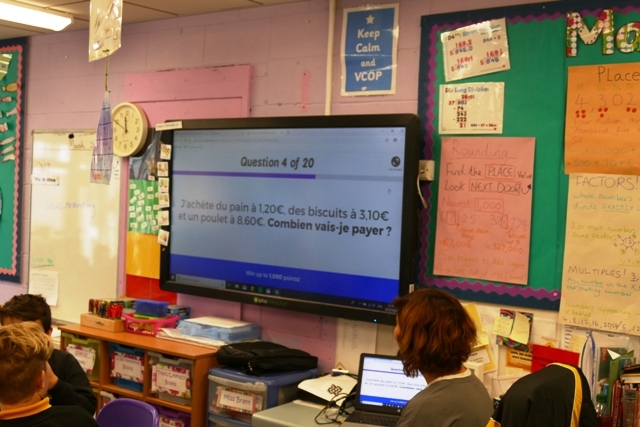 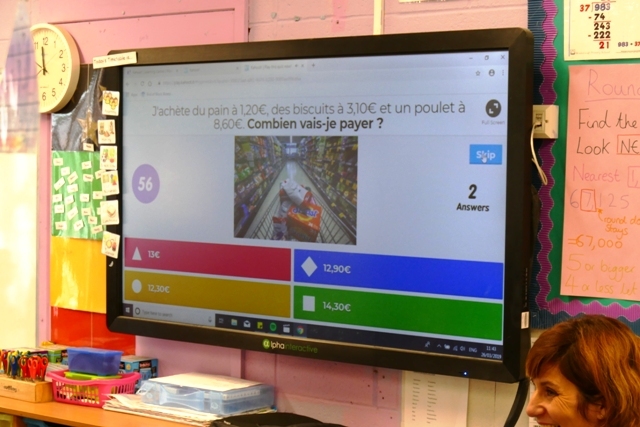 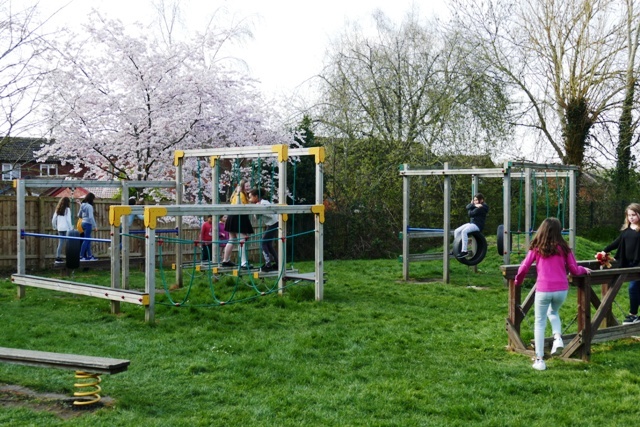 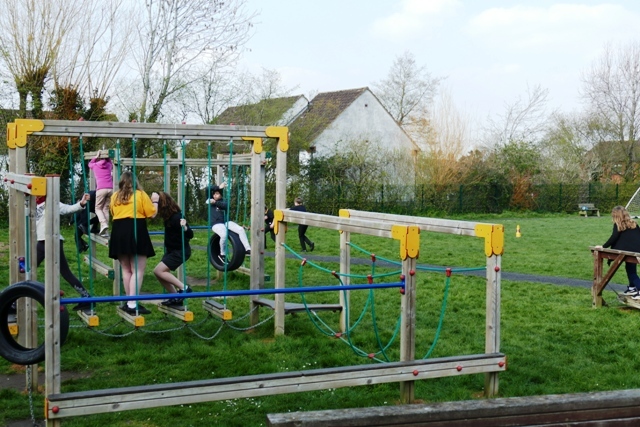 Wanborough Primary School is embarking on this project with our French colleagues at Ecole Du Lac. 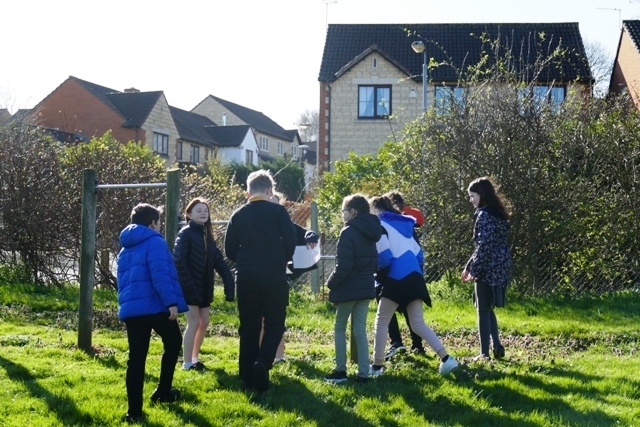 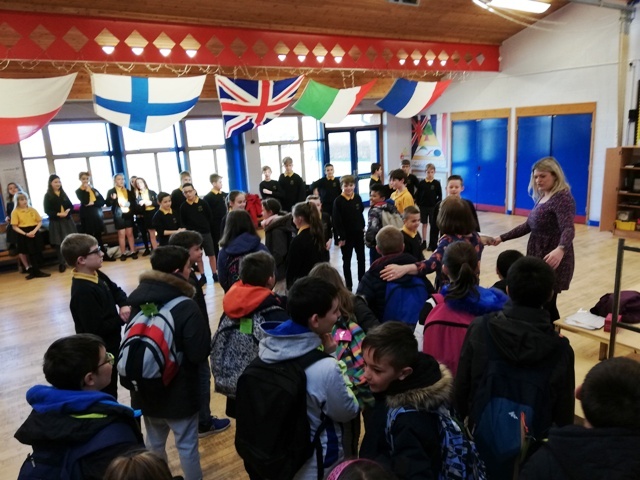 We are pleased to announce that we have been successful in our Erasmus+ application (made through the British Council and European Union) which has allocated both schools significant funding to our proposed "Let's all GROW together" project. 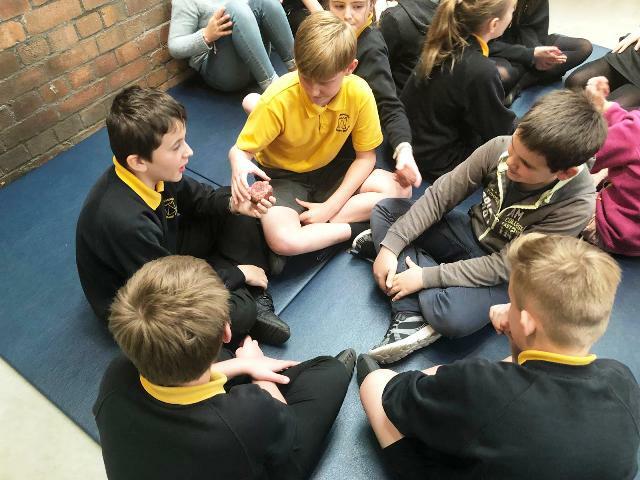 Improving all stake-holders knowledge of Mental Health, Wellbeing and Mindfulness in an educational context. 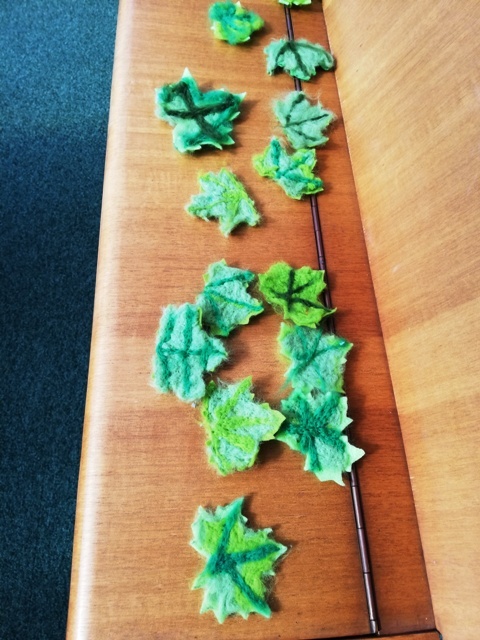 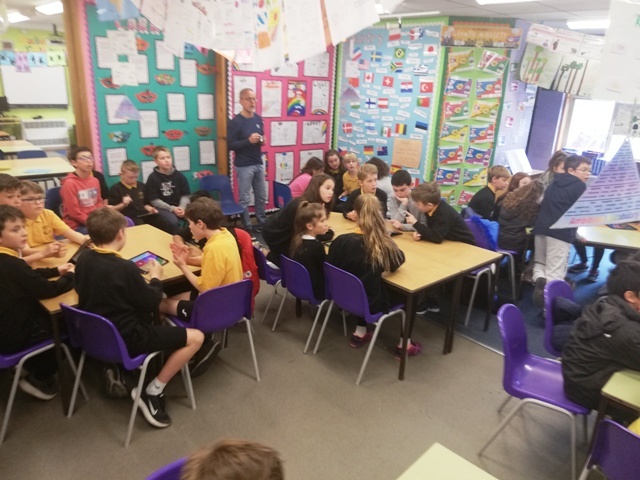 Developing and embedding a positive Growth Mind Set Culture in both schools. 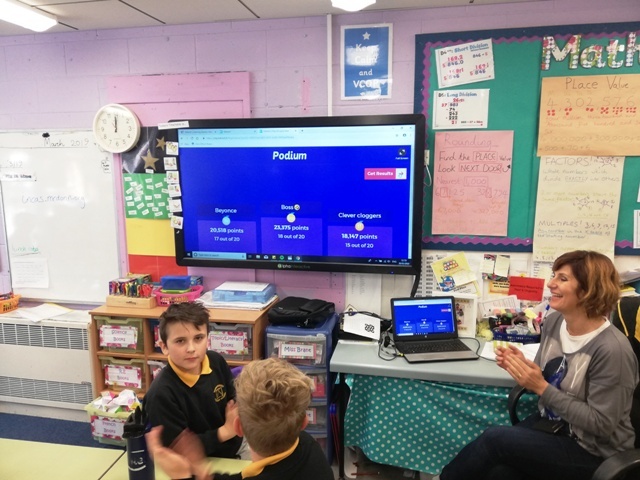 Acquiring and applying new language skills. 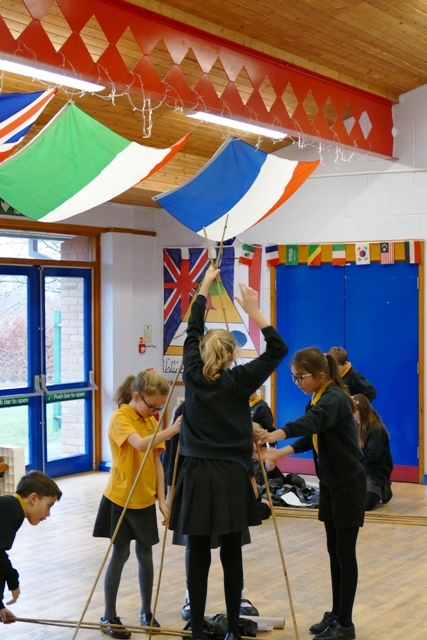 Appreciating and experiencing other cultures. 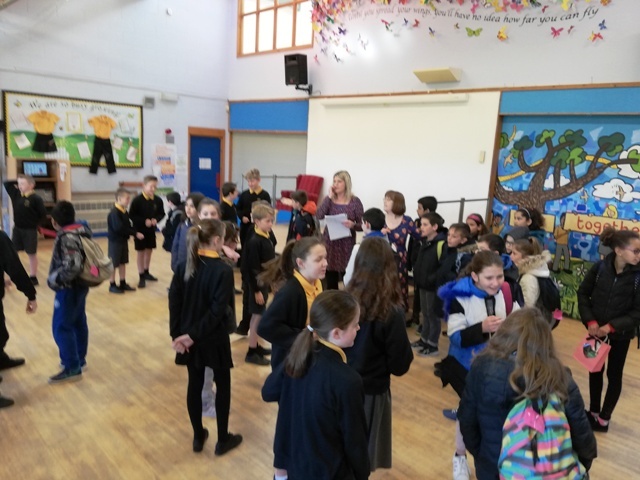 Over the next two years we will be providing opportunities for children, parents, staff and governors to help us meet these aims. 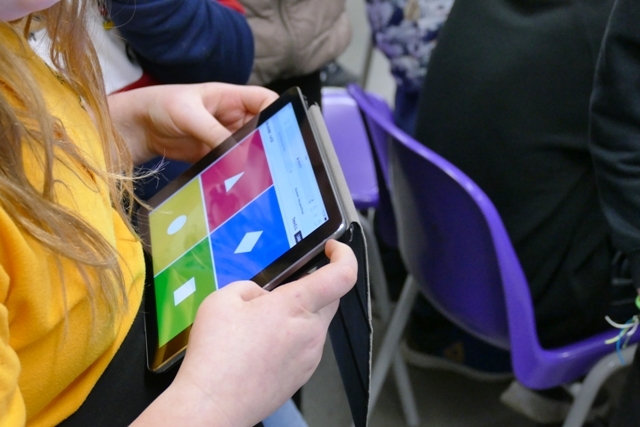 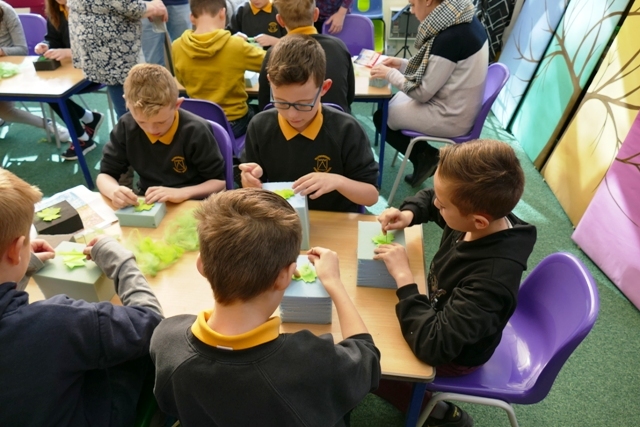 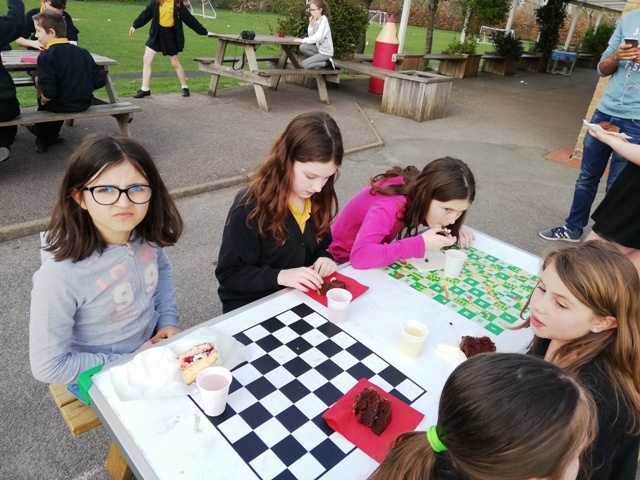 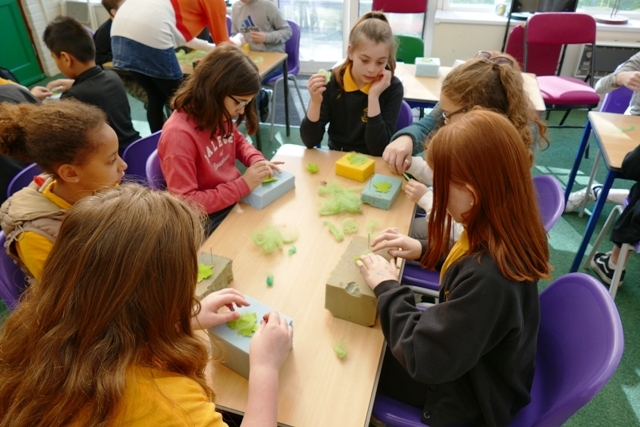 The funding we will receive will be used to give skills, strategies and knowledge through a variety of curriculum enrichment, workshop and training activities. 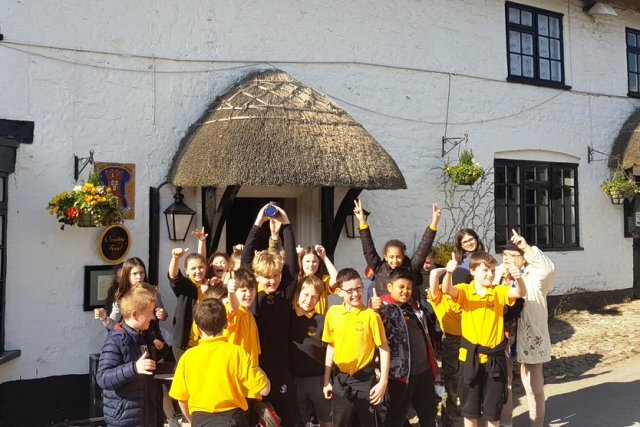 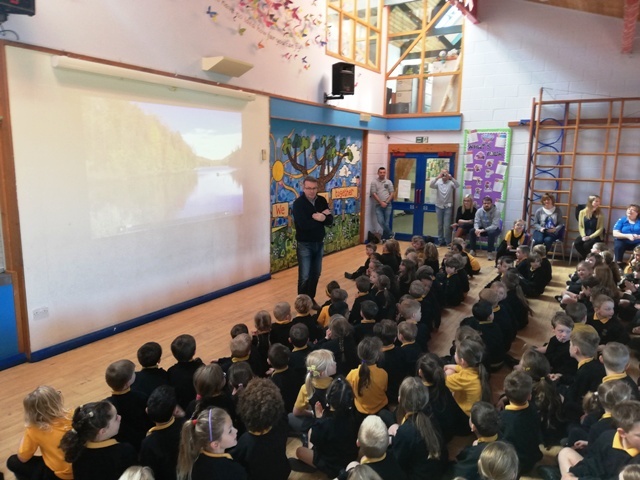 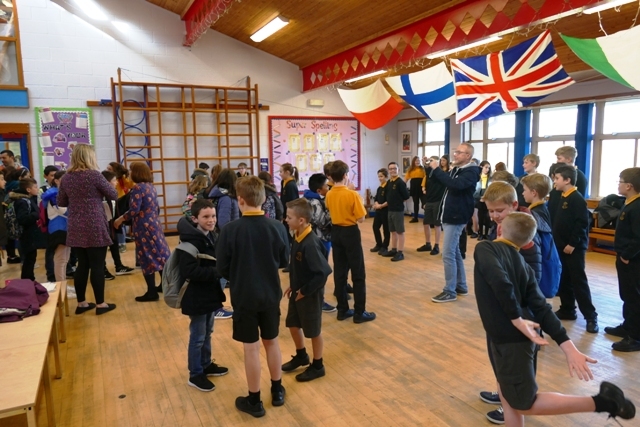 Furthermore, to support the language and cultural aims the funding will help subsidise the Year 6 French trips for 2019/20. 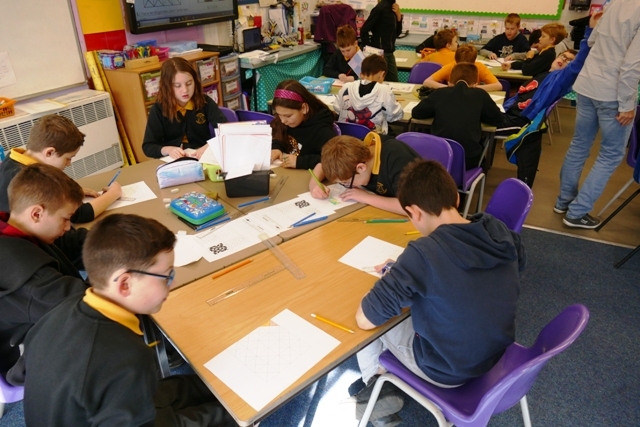 We also aim to publish our activities and any related theory/documents on our school website. 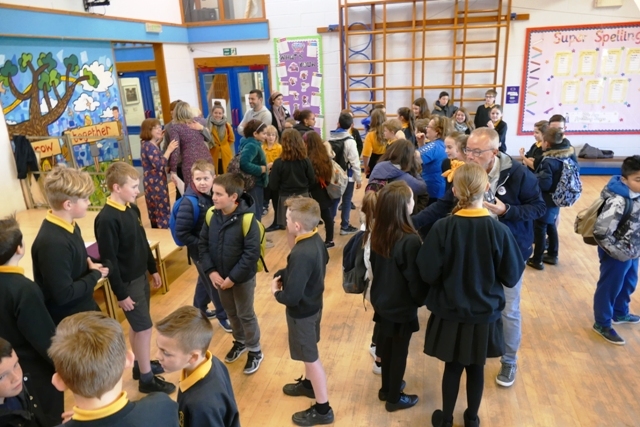 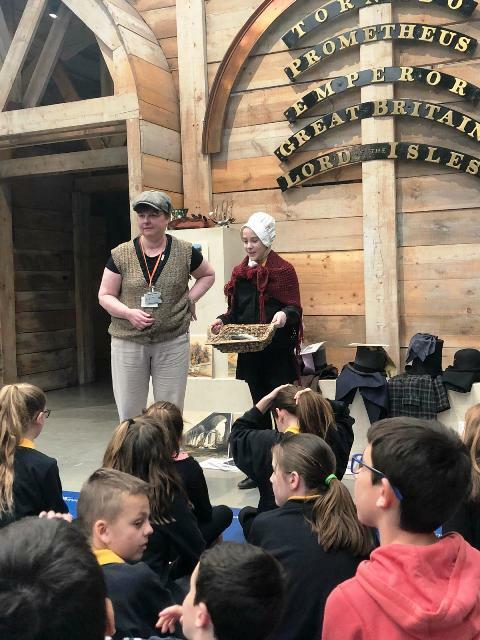 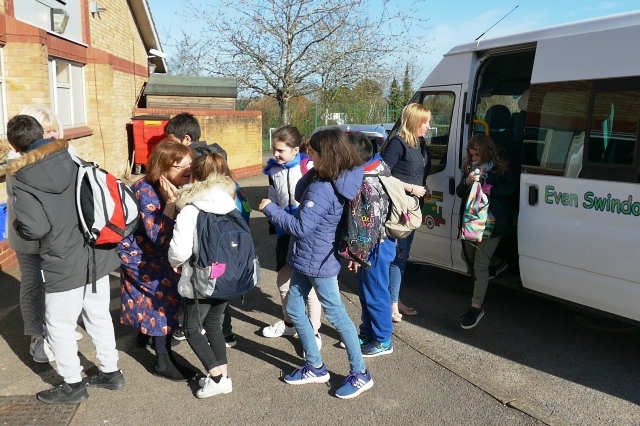 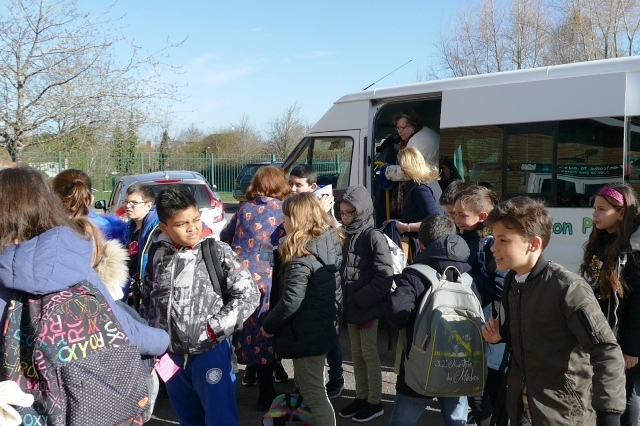 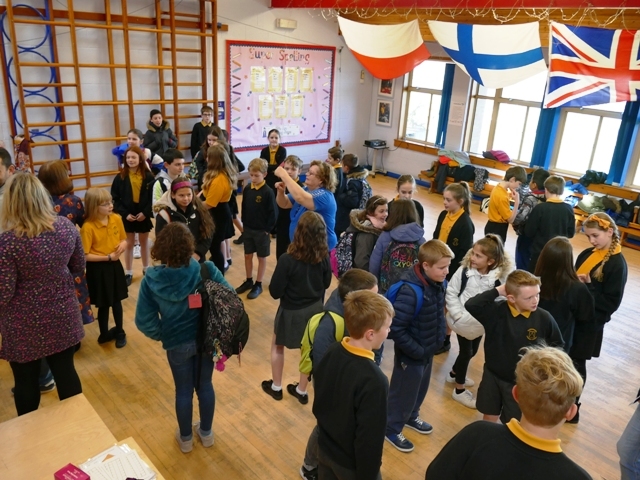 On Monday 25th March we were pleased to welcome pupils and staff from Ecole do lac to our school at the start of a week long visit. 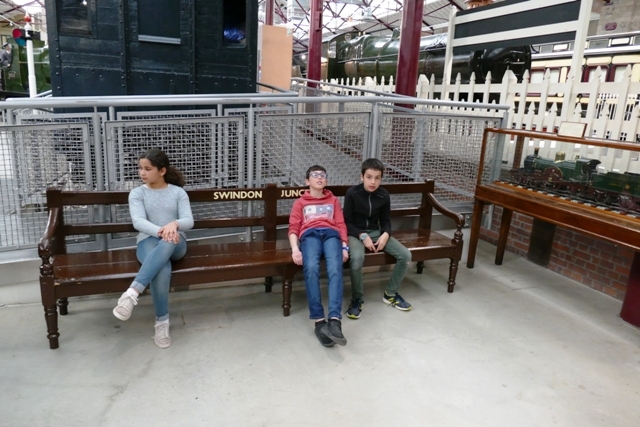 On Saturday they travelled from St Cyr to London and spent Sunday exploring the capital. 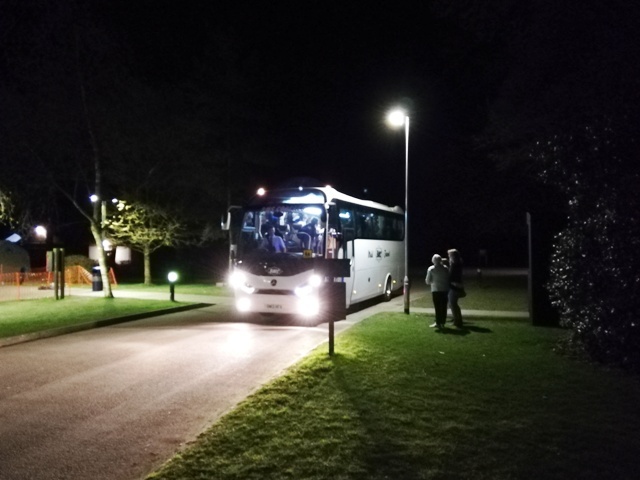 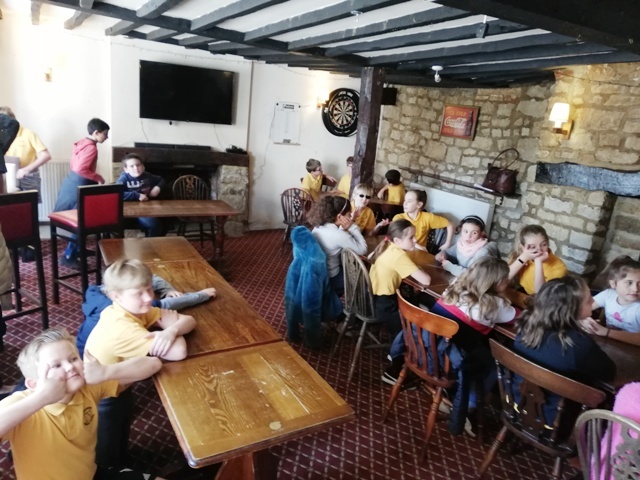 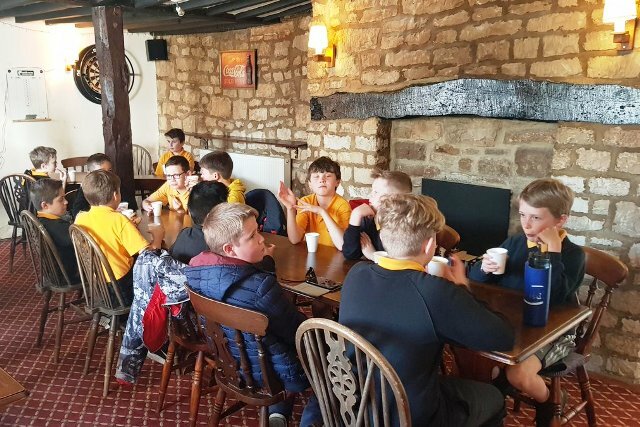 They arrived at their accommodation at PGL Liddington after a long day. 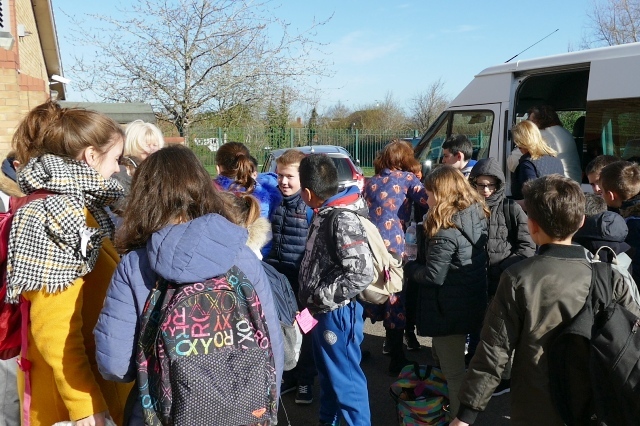 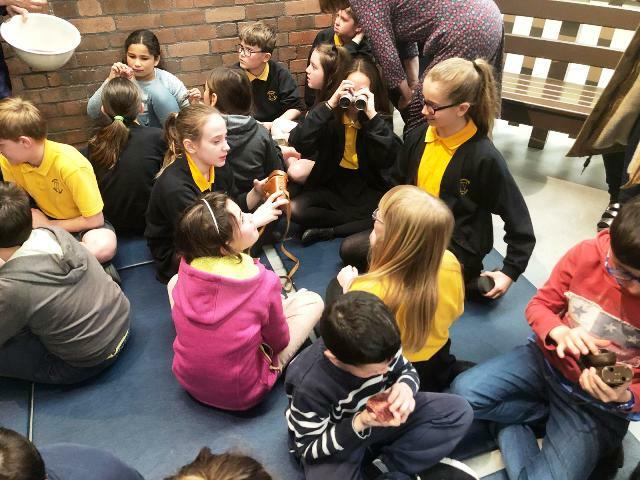 On Monday morning they arrived at school to be introduced to their pen pals from Year 6 and be shown around school. 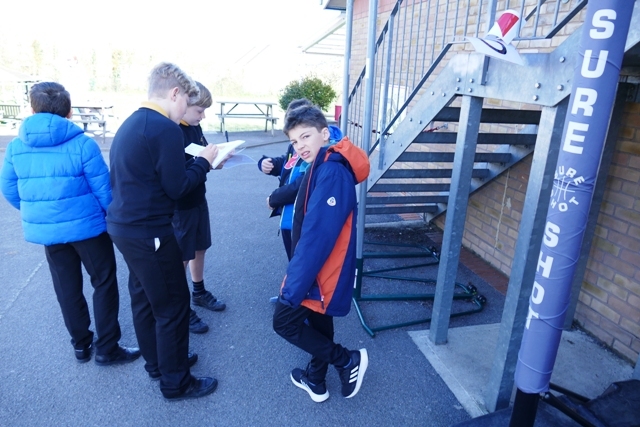 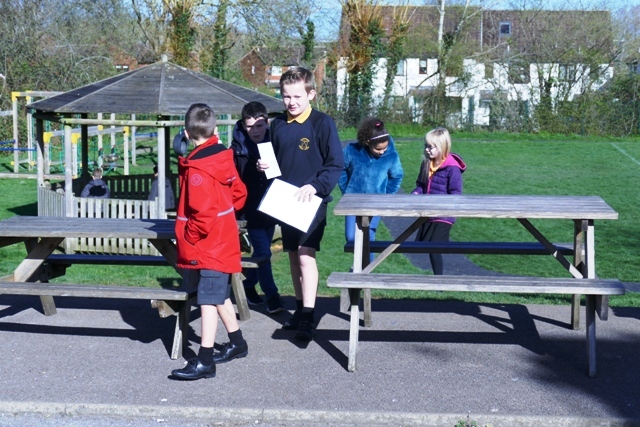 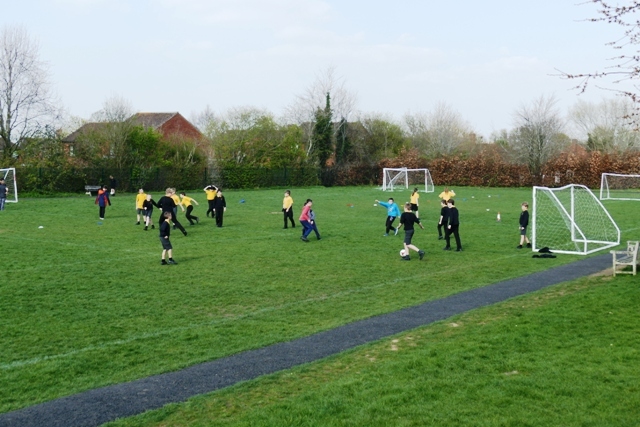 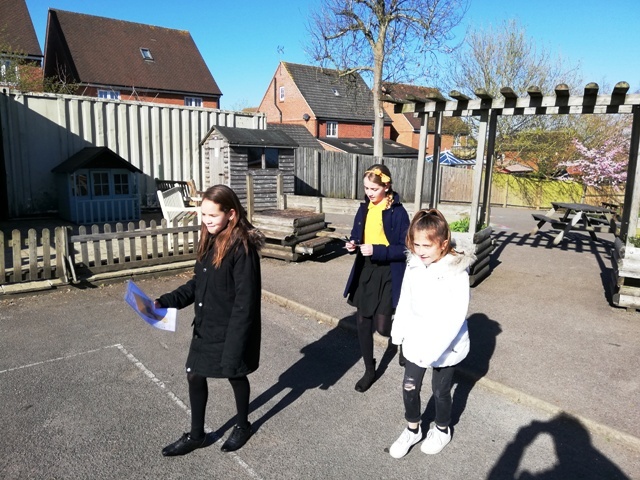 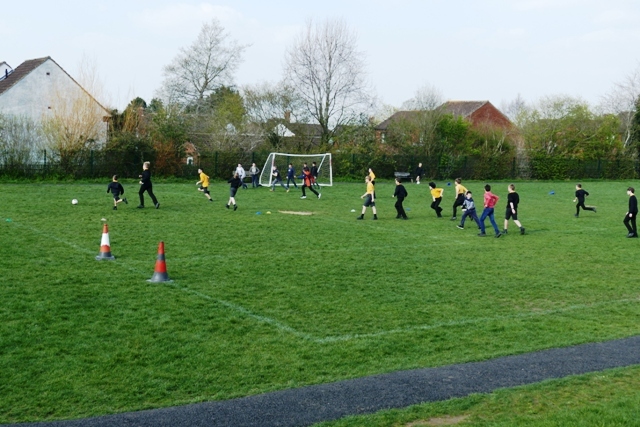 The children then took part in an orienteering exercise around the school grounds. 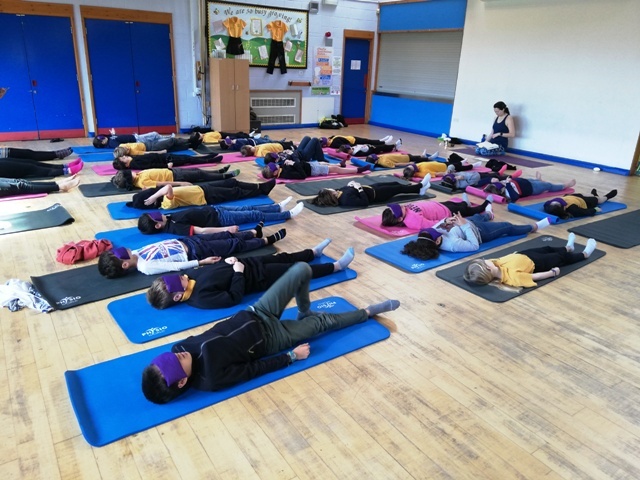 Following this, we were introduced to Cohérence cardiaque, a technique of rhythmic deep breathing which they use to reduce stress. 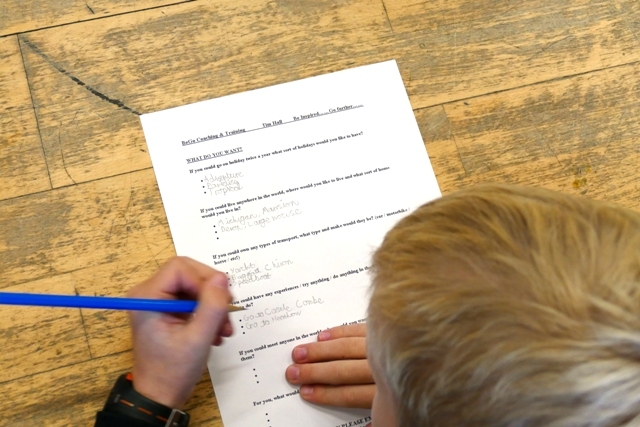 After this we all took a geometry test. 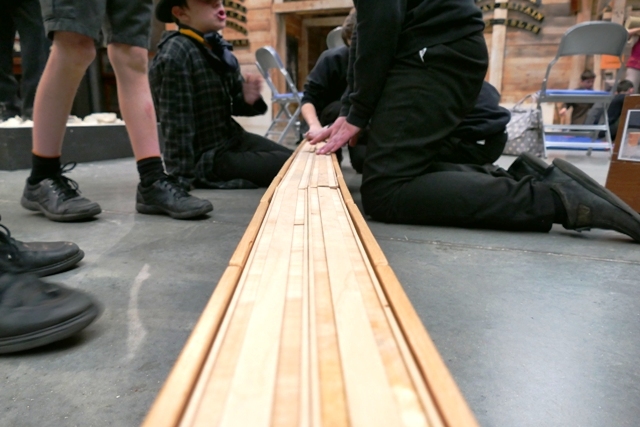 The plan is to repeat the test after we have used this technique for a while, to see if the results improve. 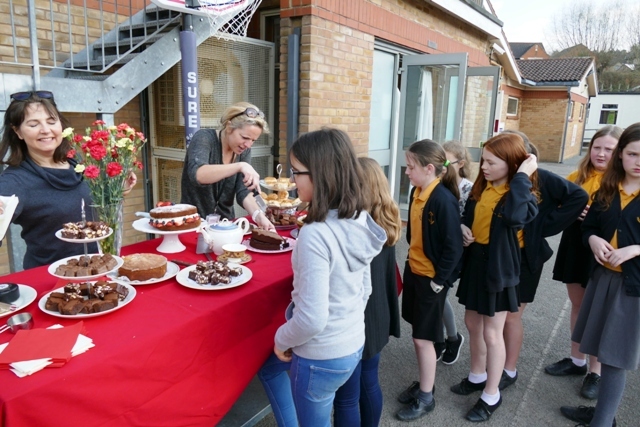 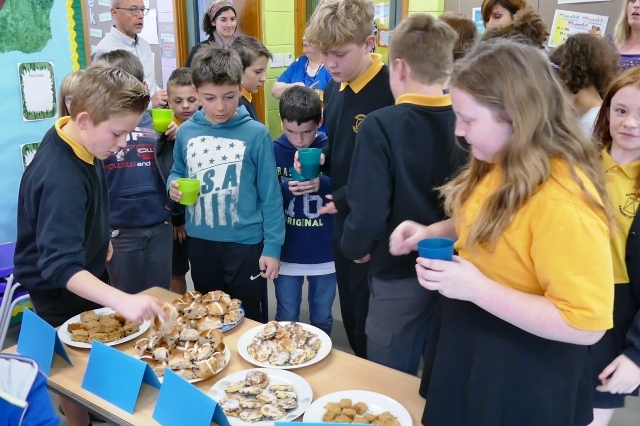 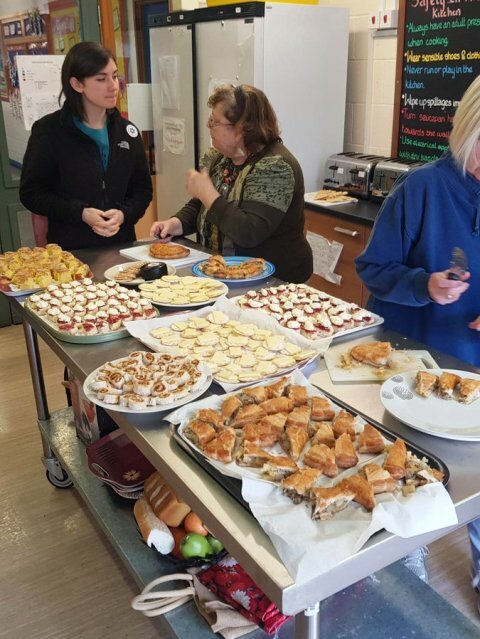 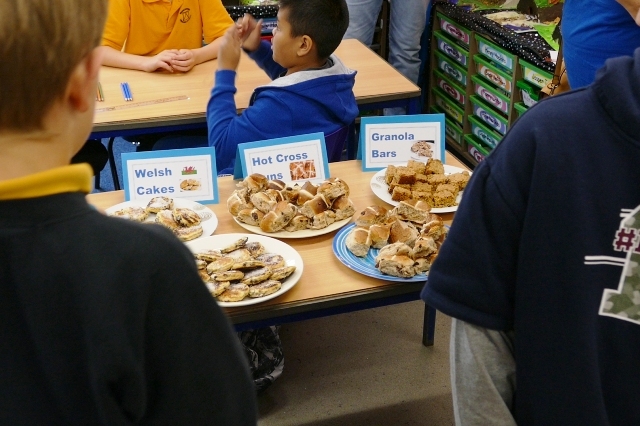 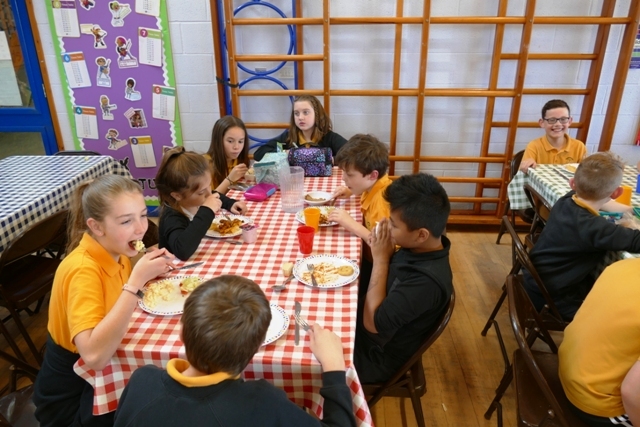 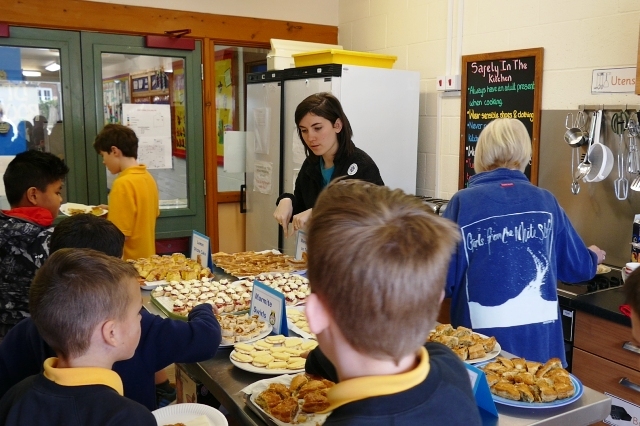 Next a well deserved drink and snack with a choice of Hot Cross Buns, Welsh Cakes, Granola Bars and Flapjacks. 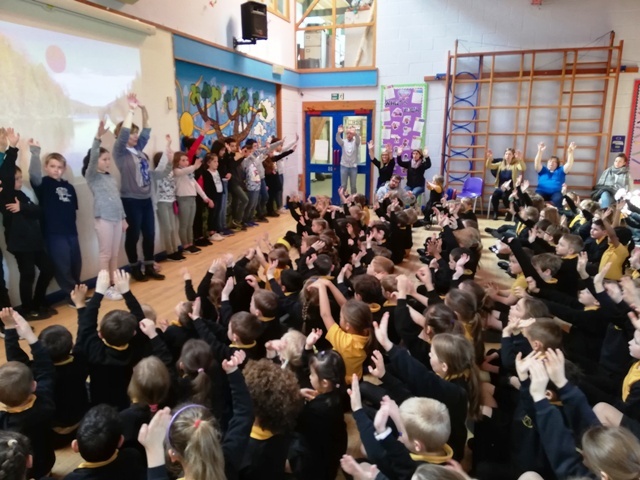 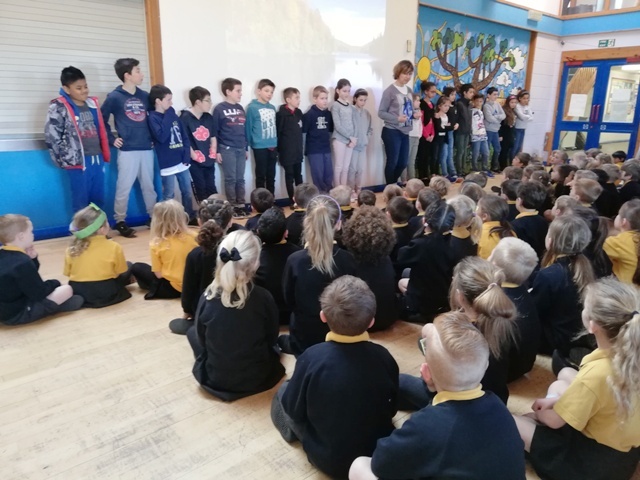 In assembly, the French children led the whole school in a demonstration of Cohérence cardiaque before we sang "I'd like to teach the World to sing" together. 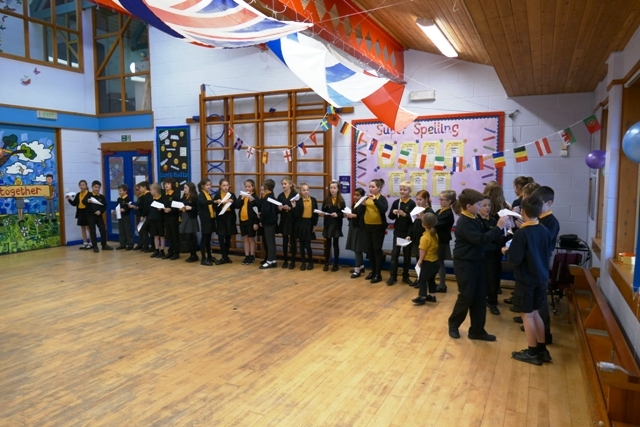 The morning ended with some songs in Year 6 classroom. 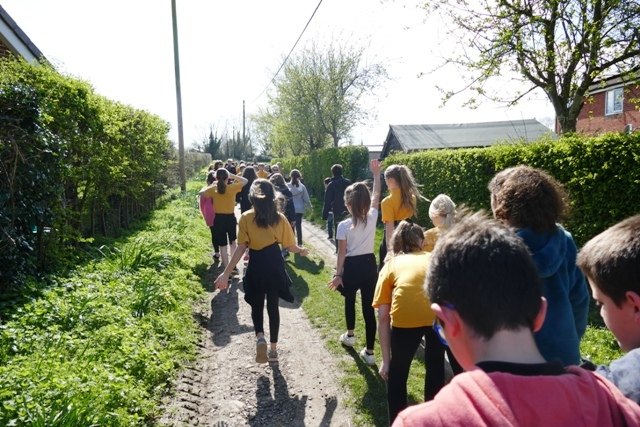 On Monday afternoon, CM2 are visiting Oxford, then on Tuesday we are all together in school for creative activities, yoga, food tasting and a walk around the village. 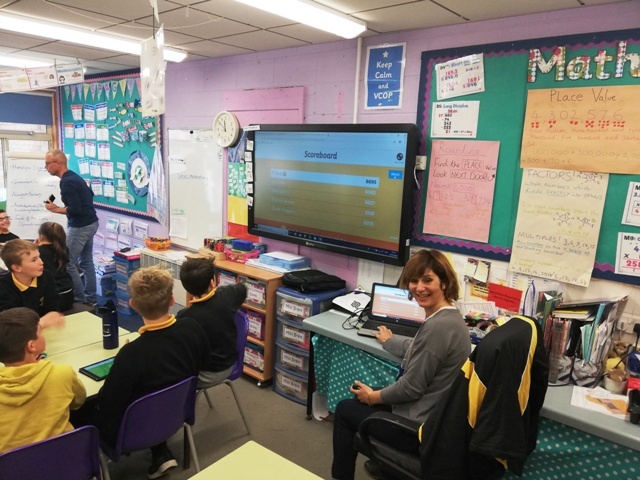 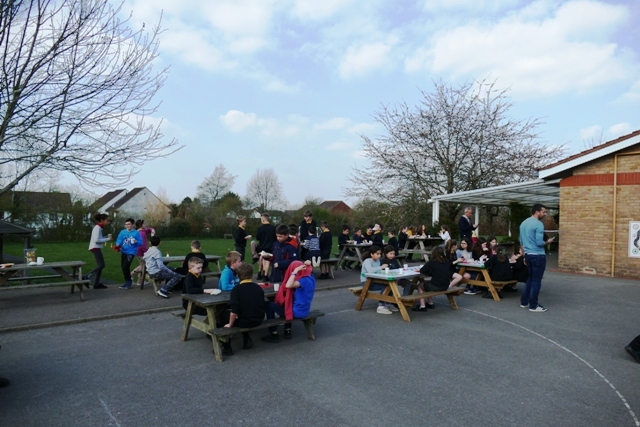 After school the Wanborough staff will take part in training in the use of various eTwinning and relaxation techniques. 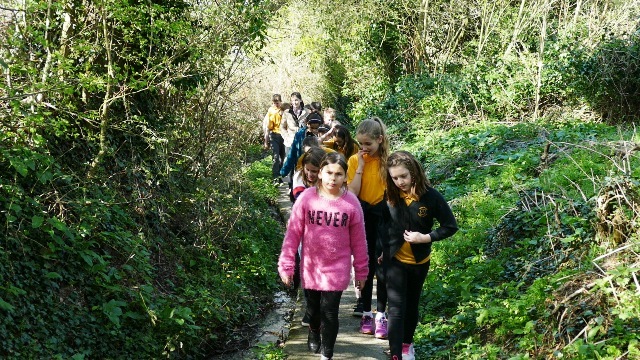 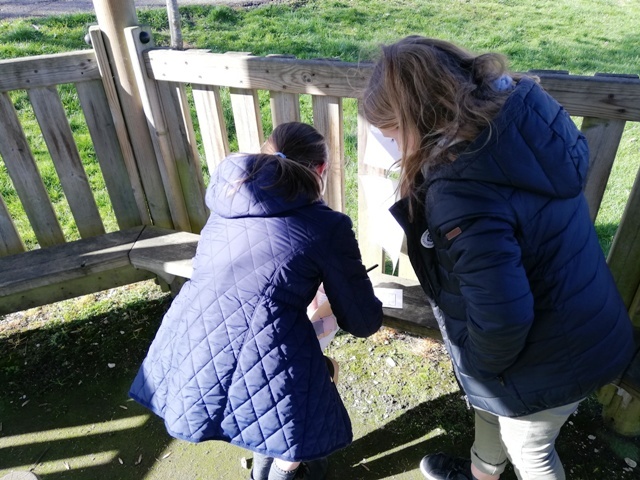 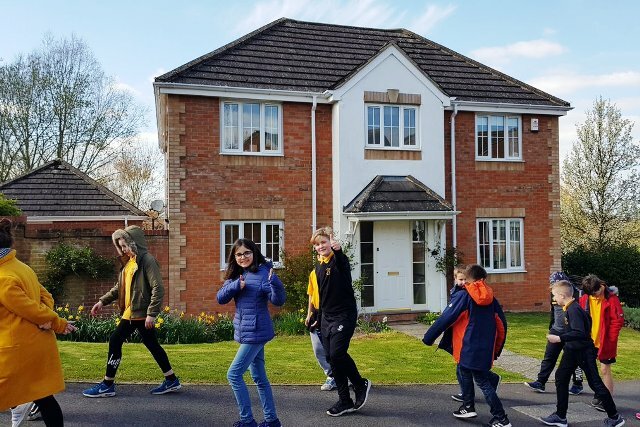 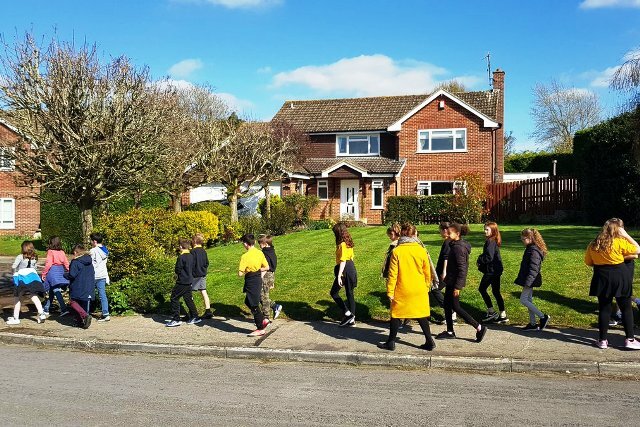 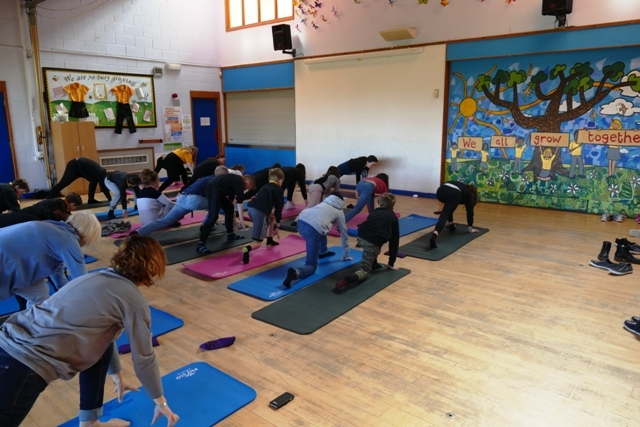 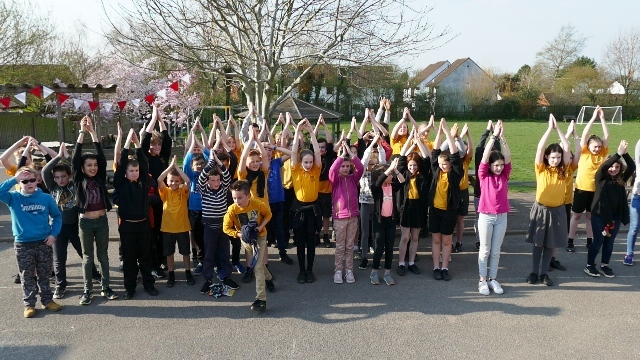 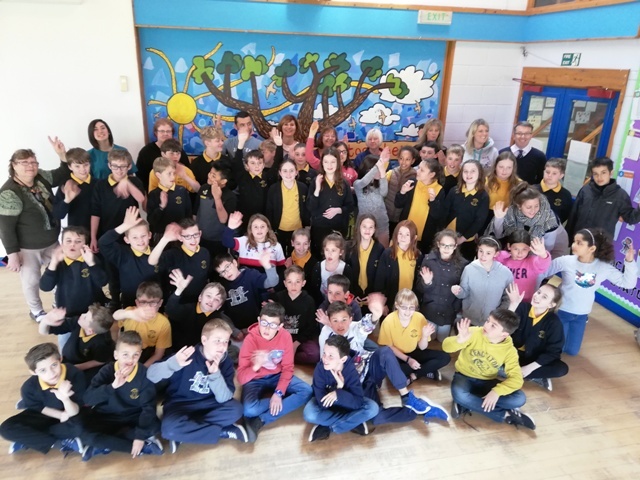 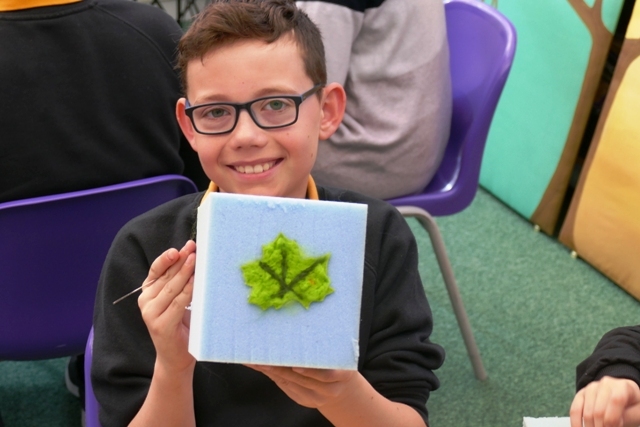 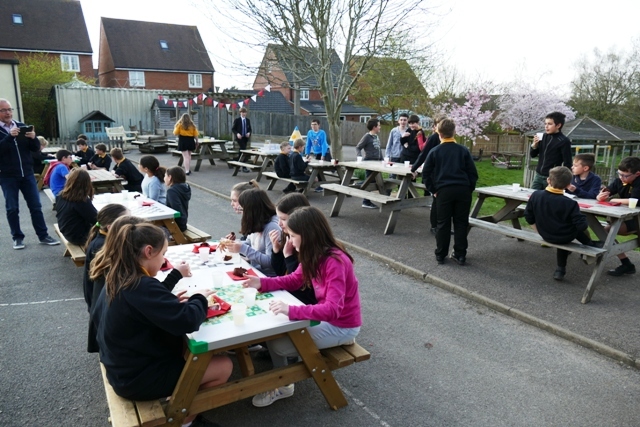 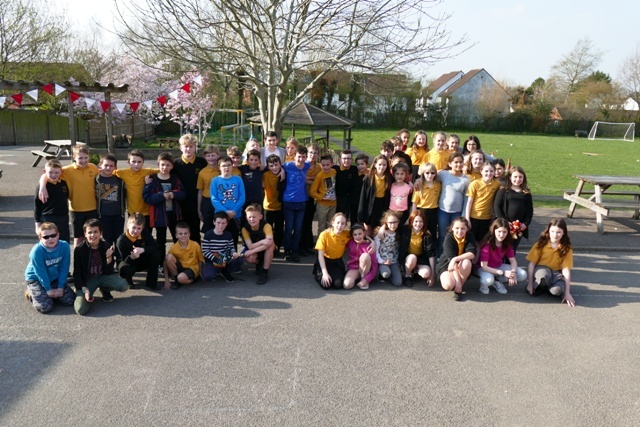 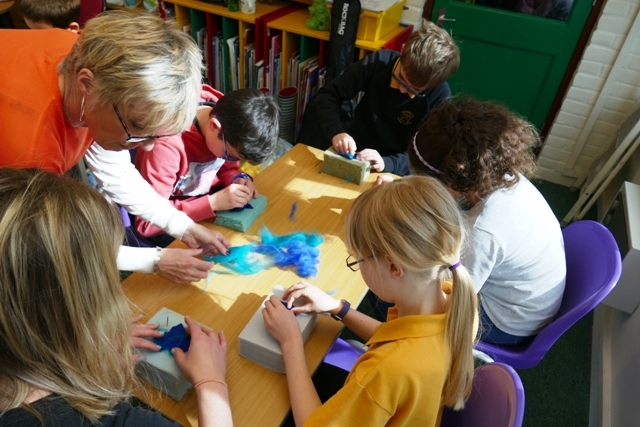 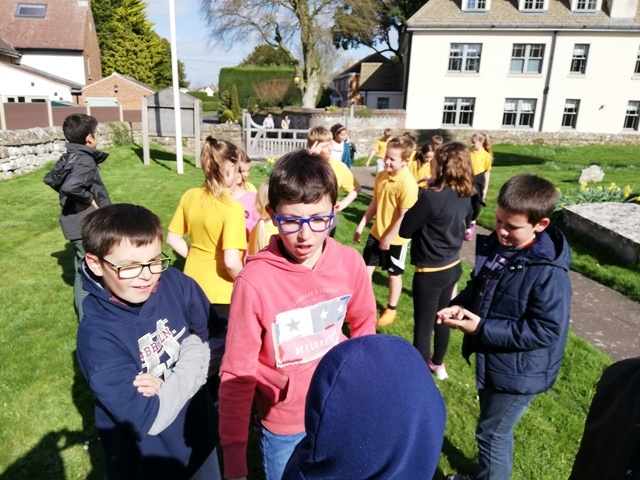 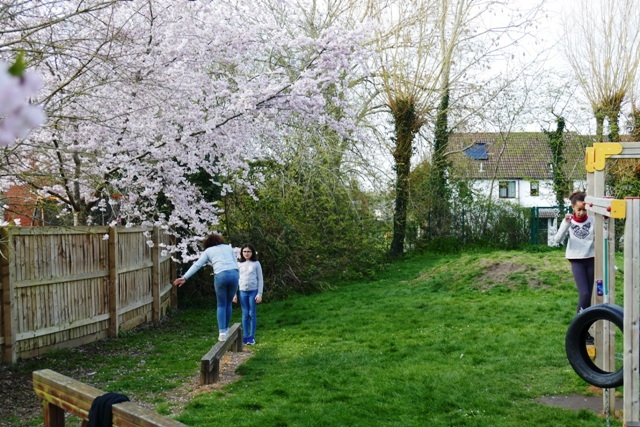 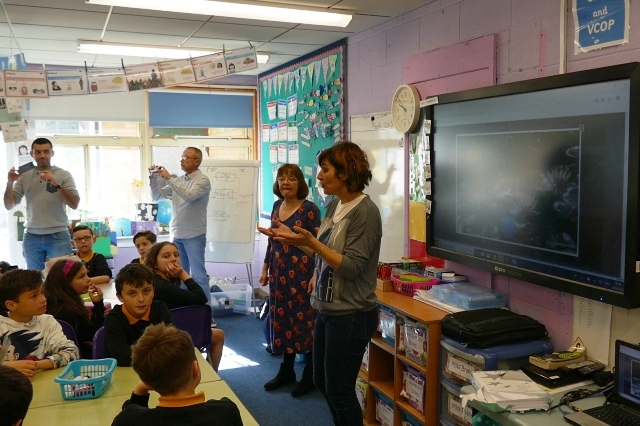 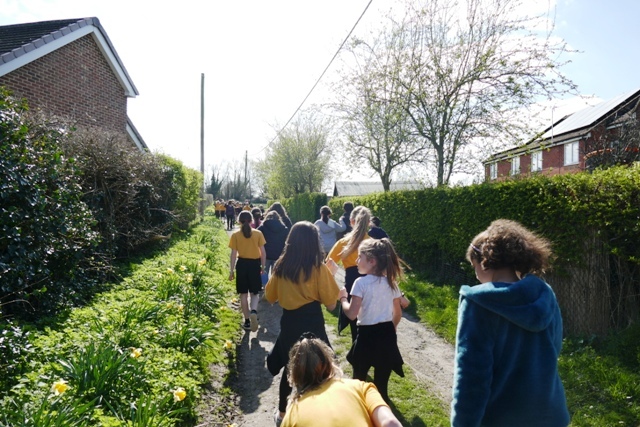 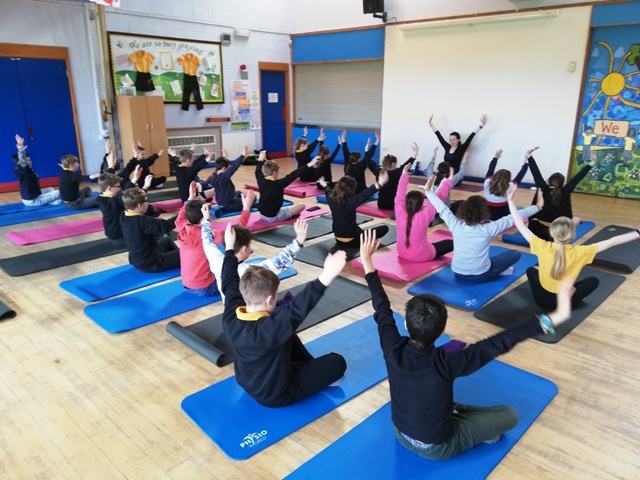 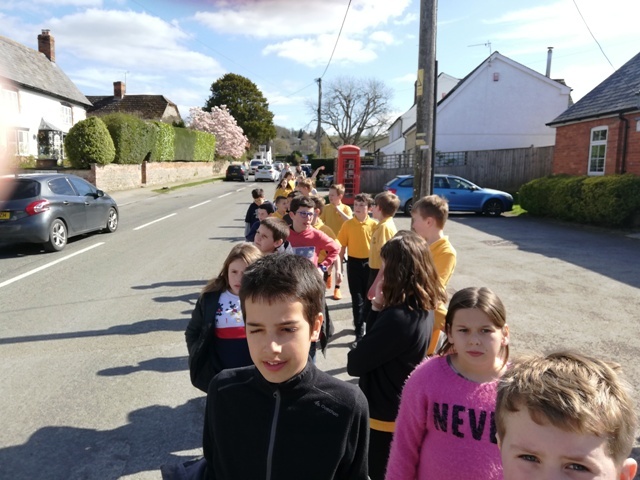 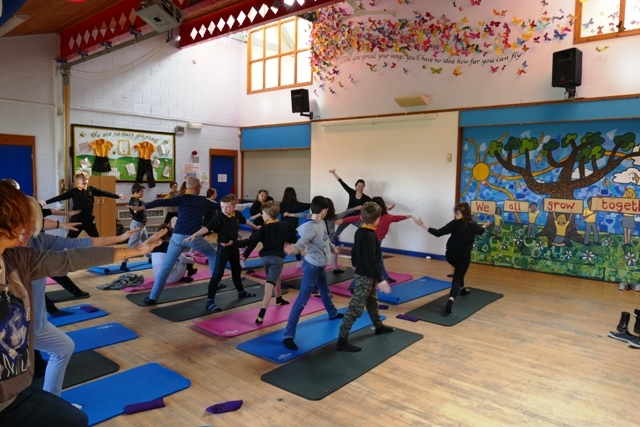 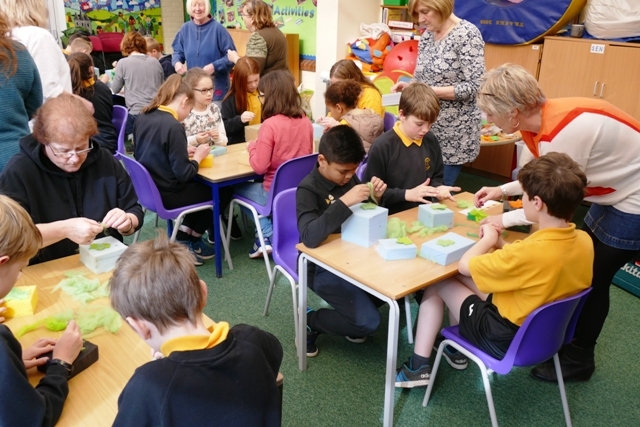 Our French visitors joined us for a full day of activities in school and around the village, including a joint art project to create a "Mindfullness Tree" and a Yoga sesssion. 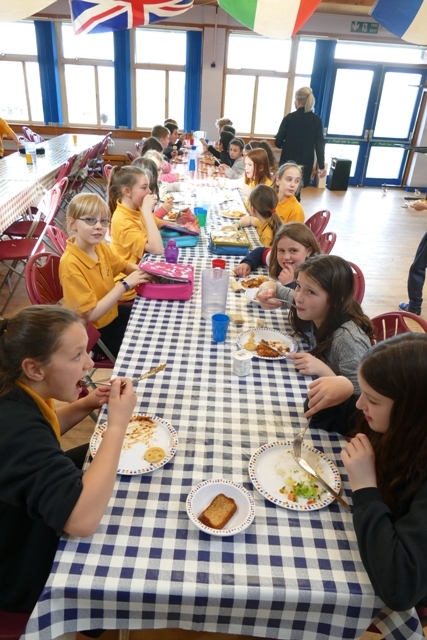 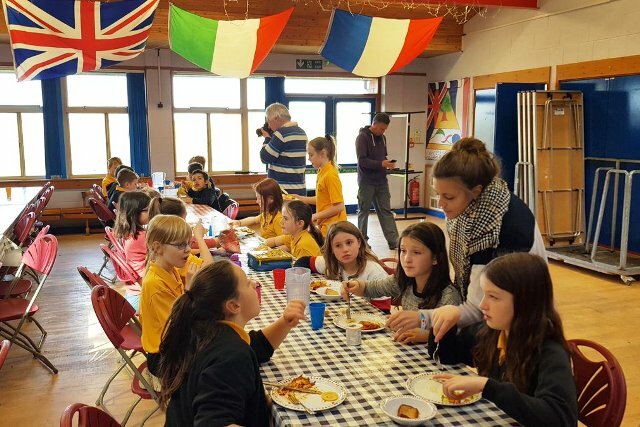 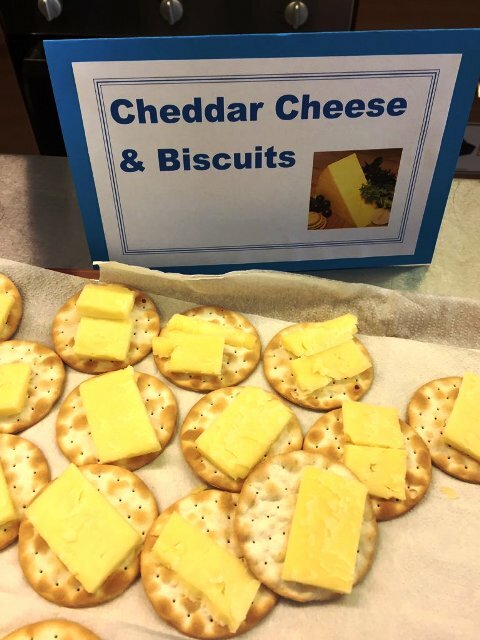 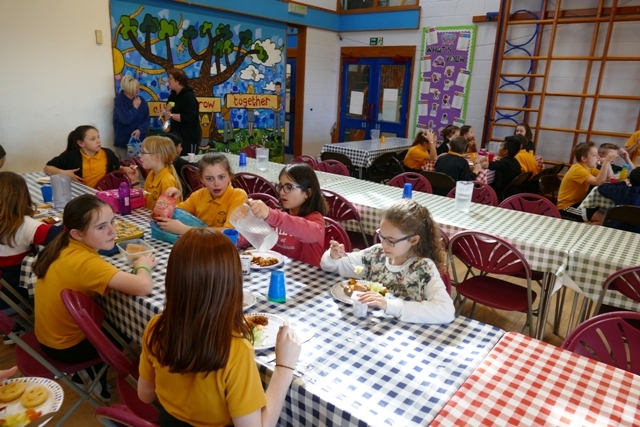 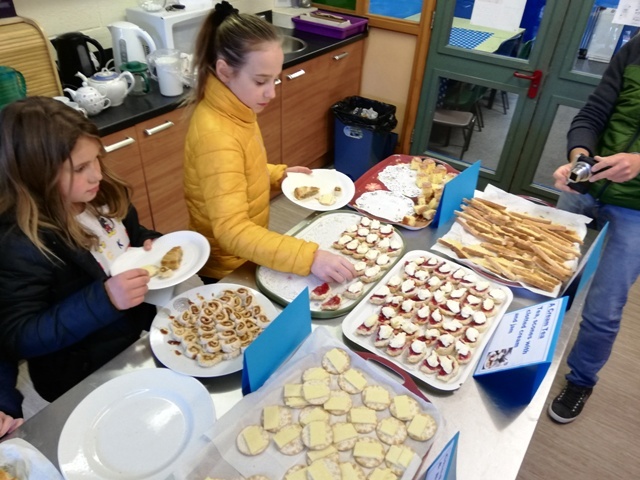 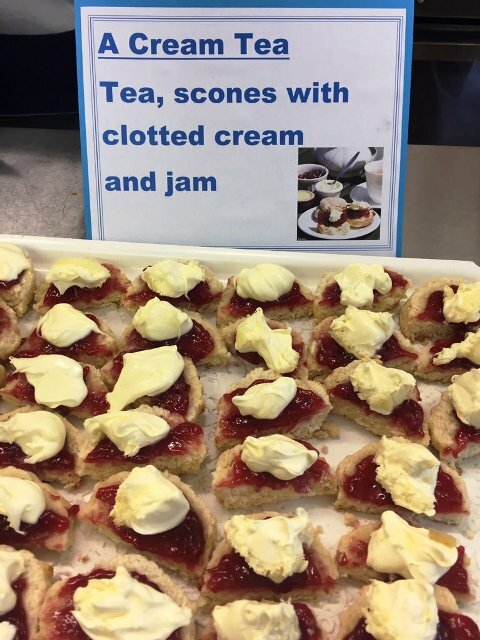 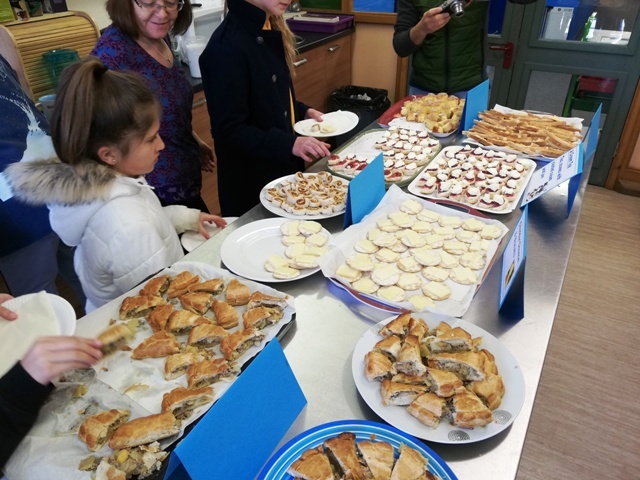 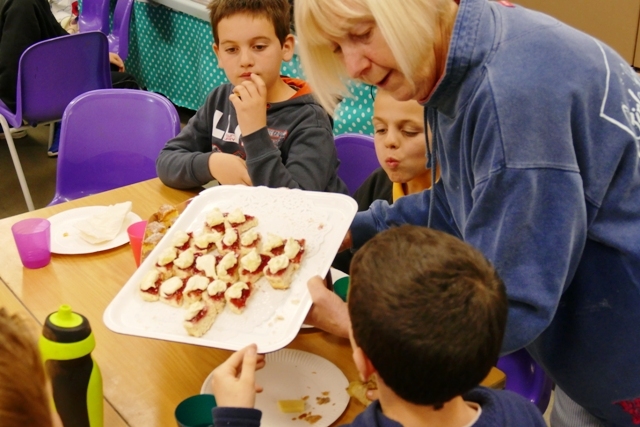 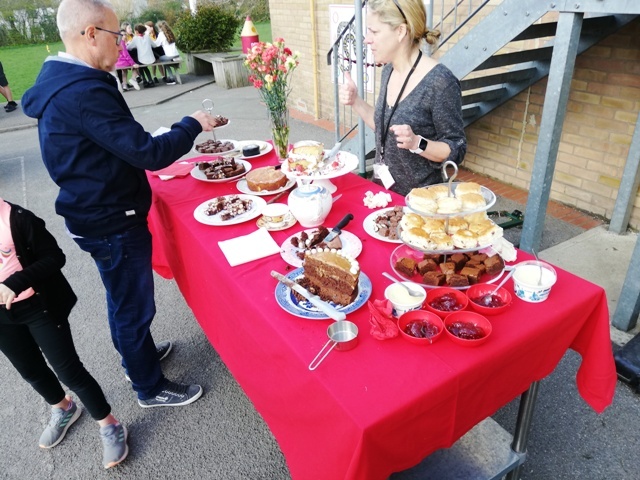 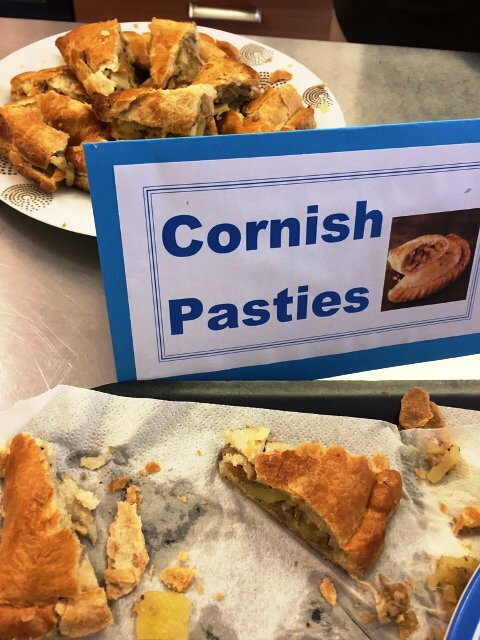 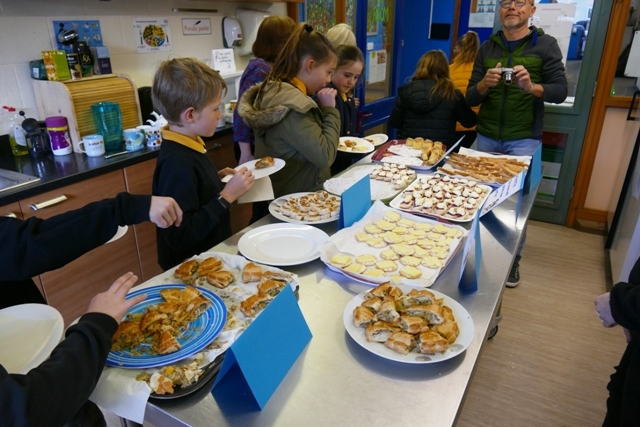 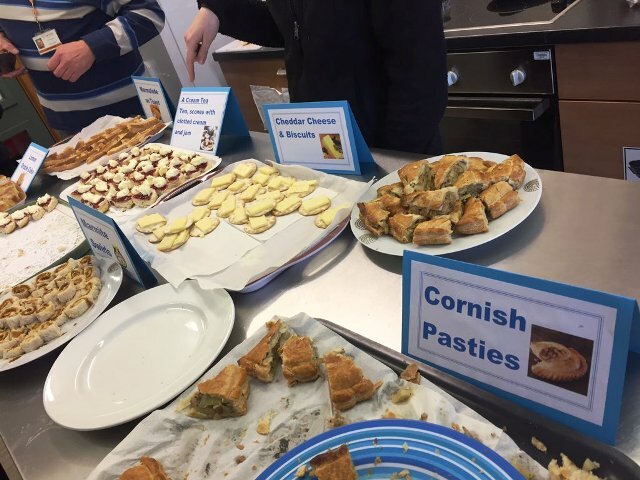 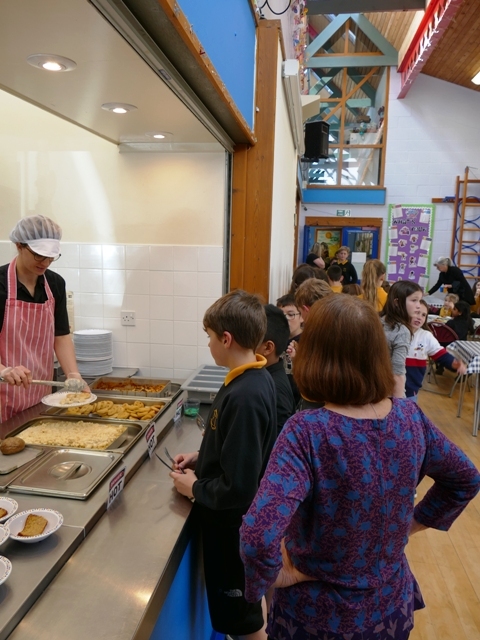 We also tried some British food specialities: Cornish Pasty, Marmite Swirls, Scones with jam clotted cream, Cheddar cheese and biscuits,Lemon Drizzle Cake and Marmalade on toast! 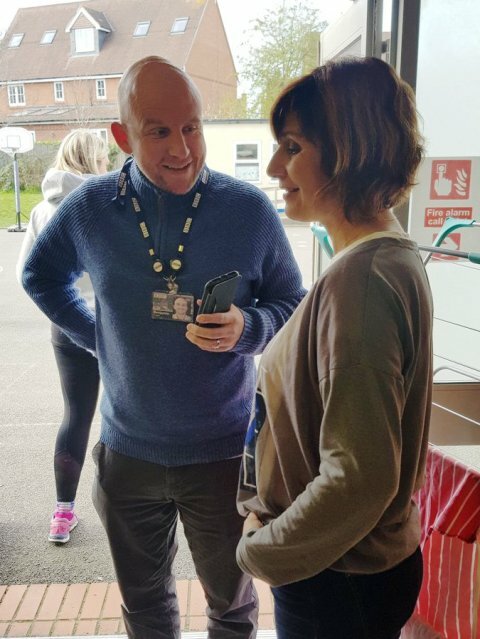 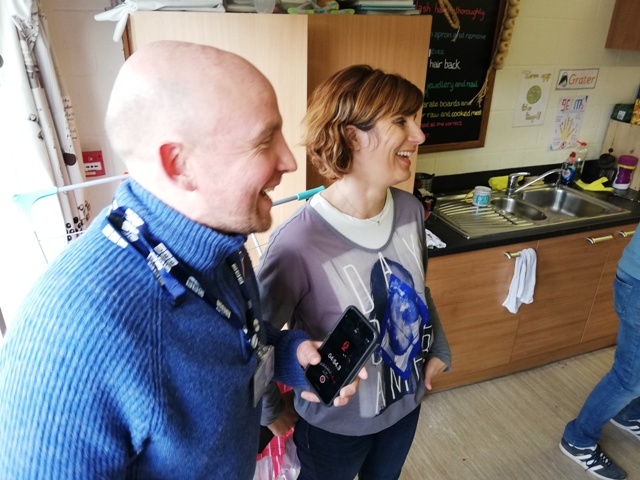 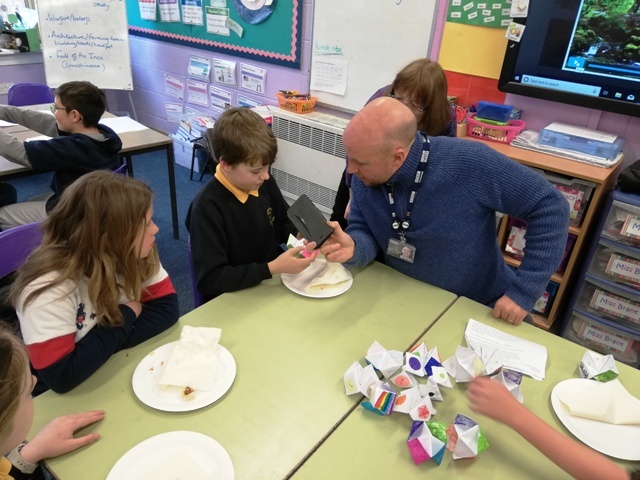 During the morning we were also visited by reporters from the Swindon Advertiser and BBC Wiltshire. 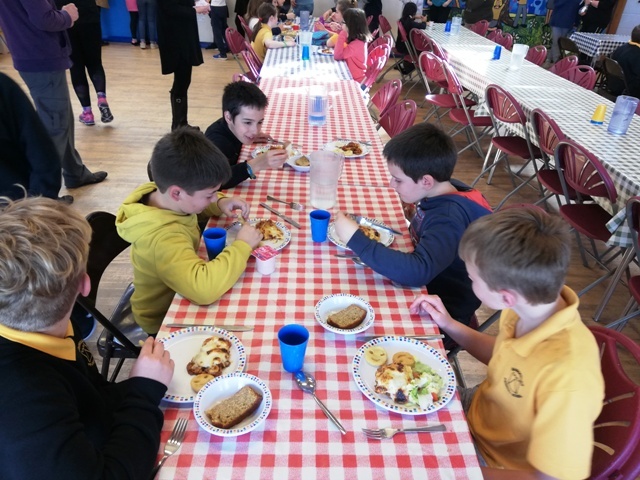 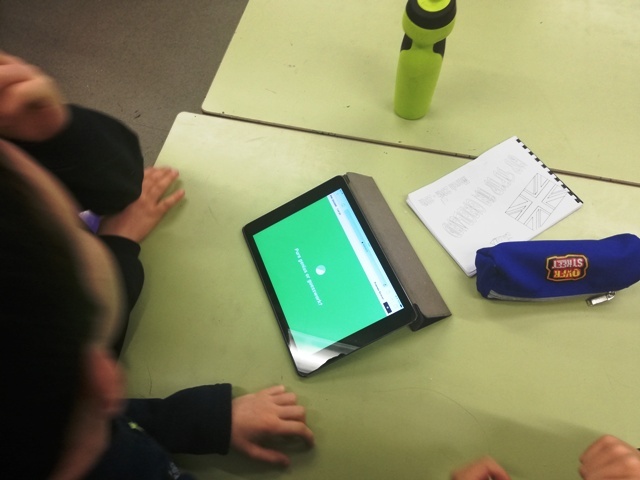 Later we teamed up for a bilingual maths quiz, before sitting down to lunch together. 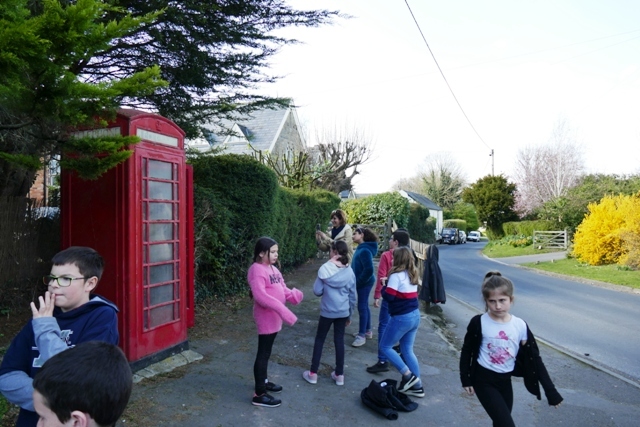 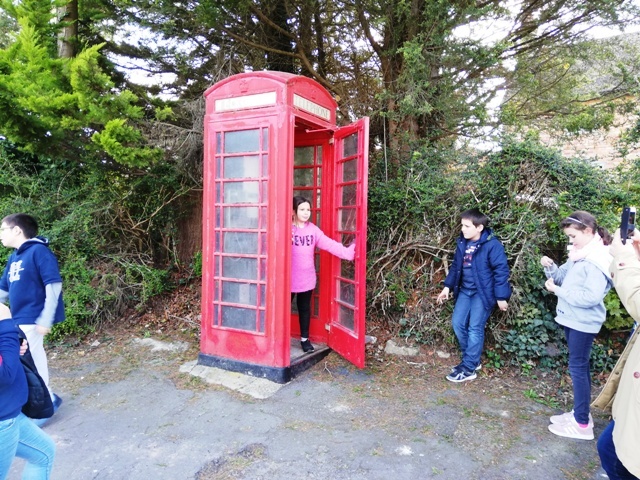 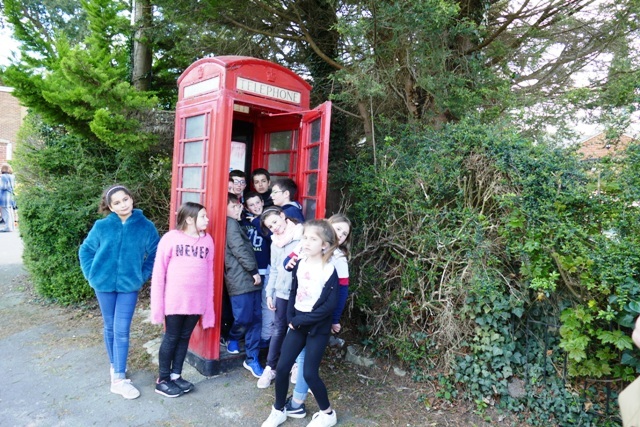 In the afternoon we went in two groups for a walk around the village, including visits to the Church and The Harrow, plus the obligatory pictures in a British phone box. 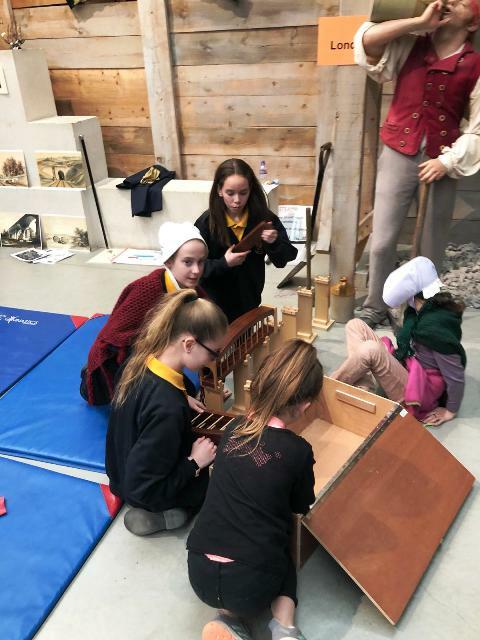 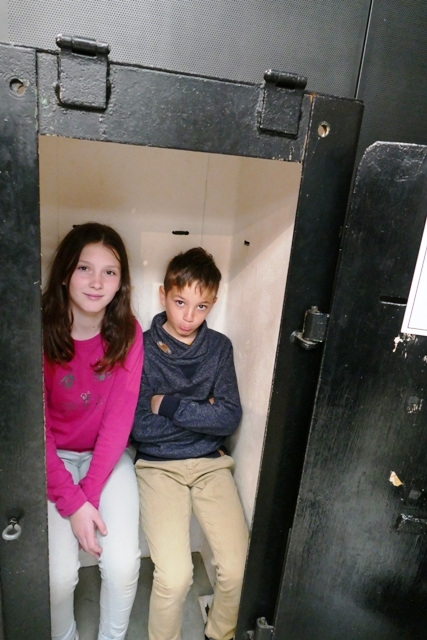 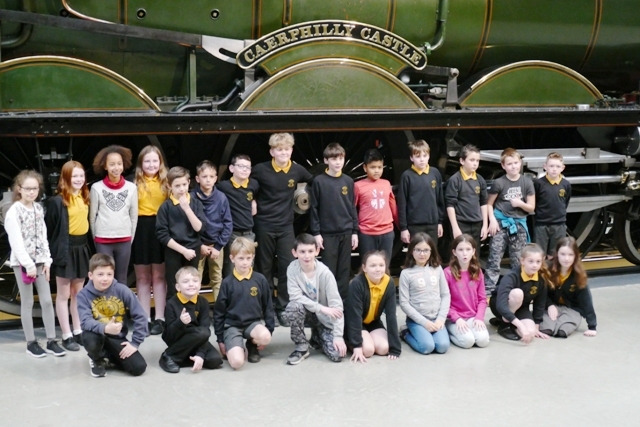 On Wednesday, the group from Ecole du lac visited Windsor. 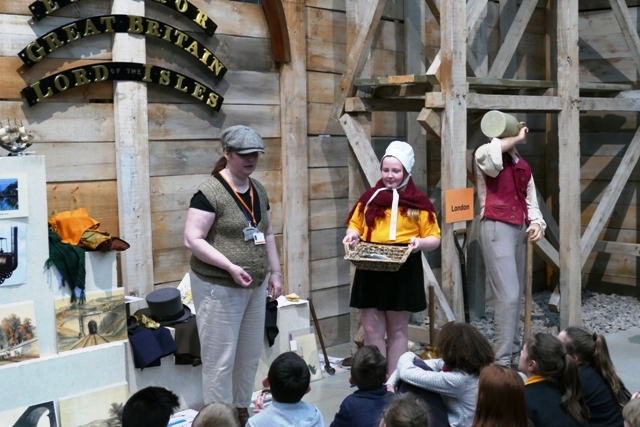 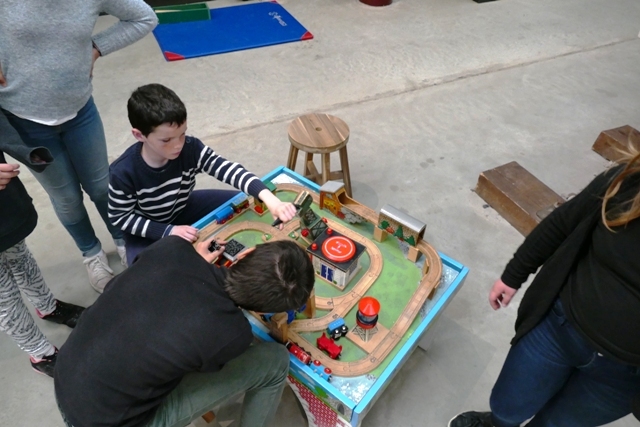 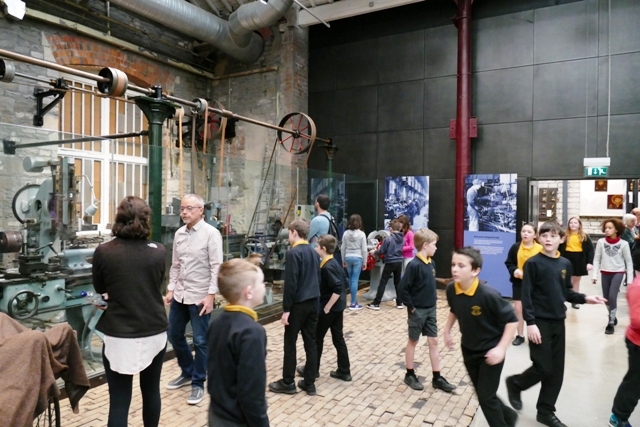 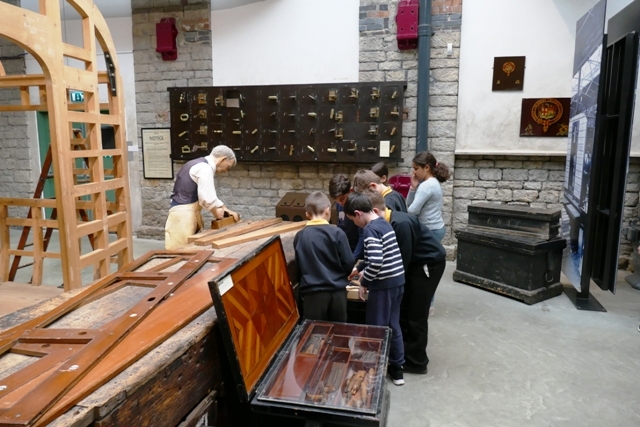 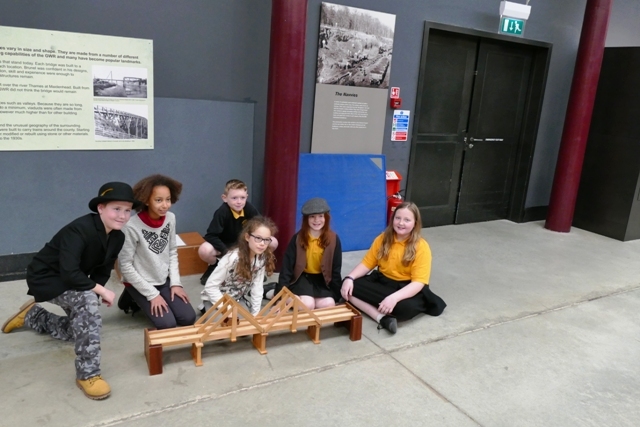 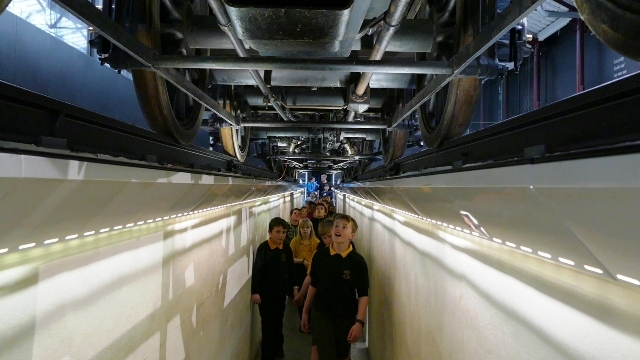 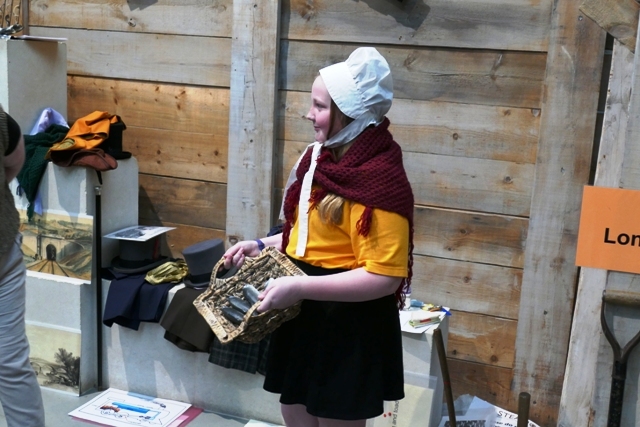 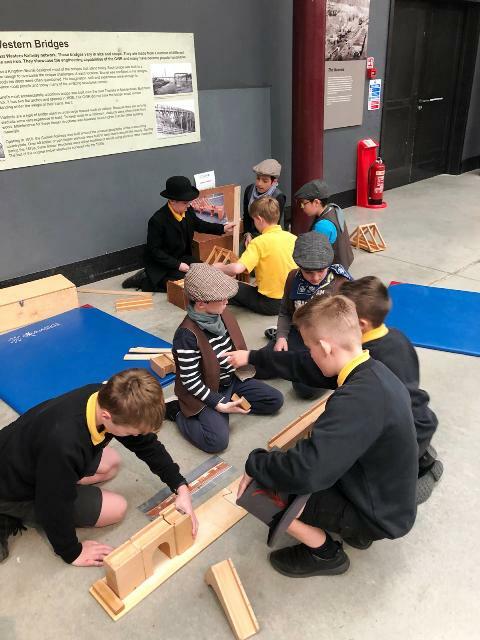 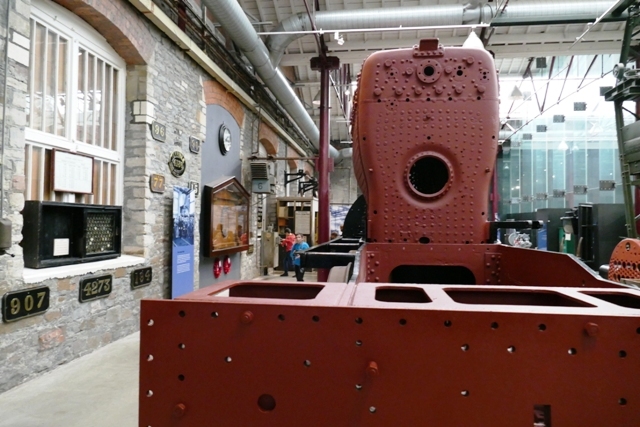 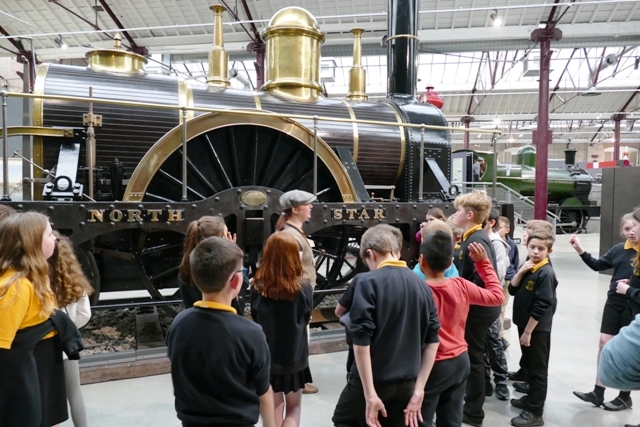 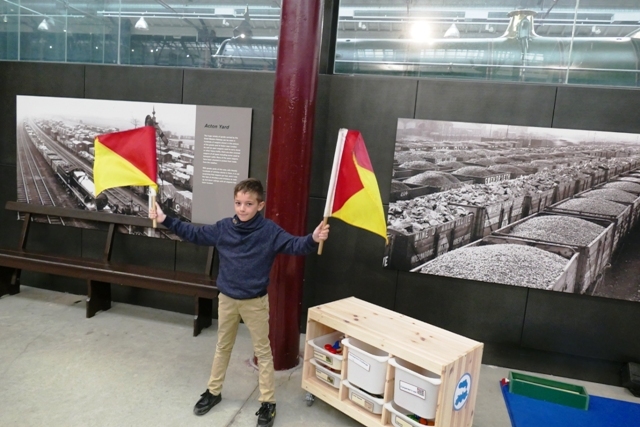 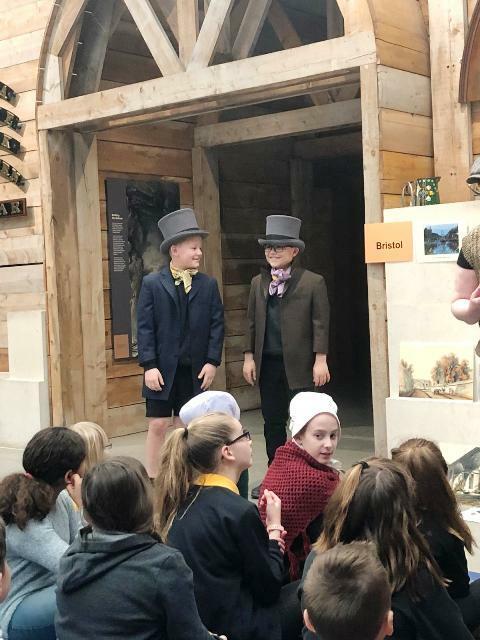 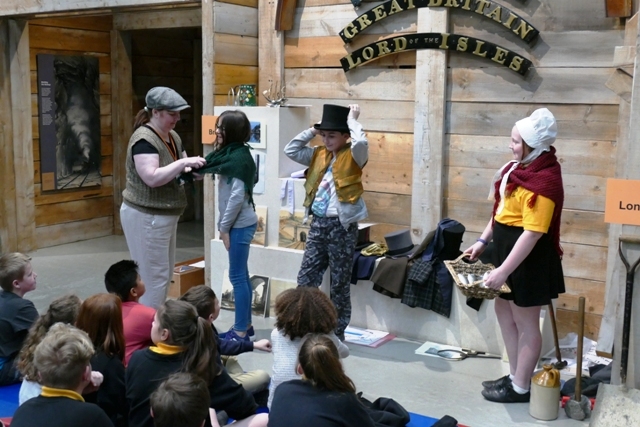 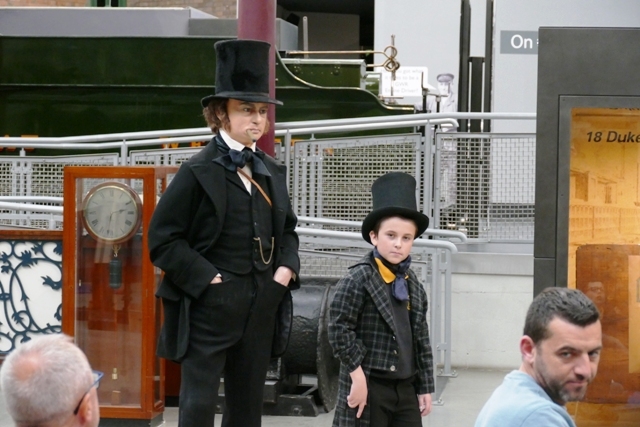 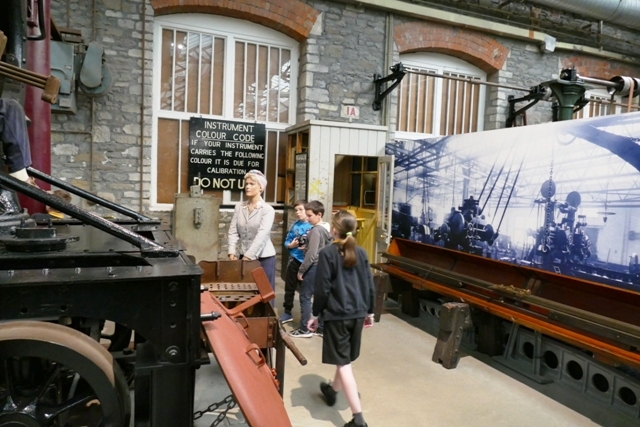 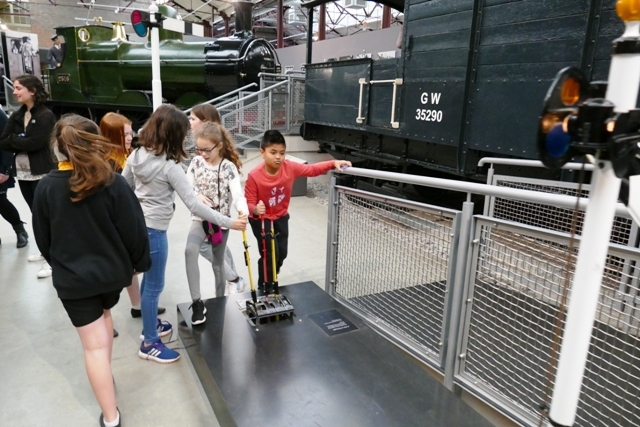 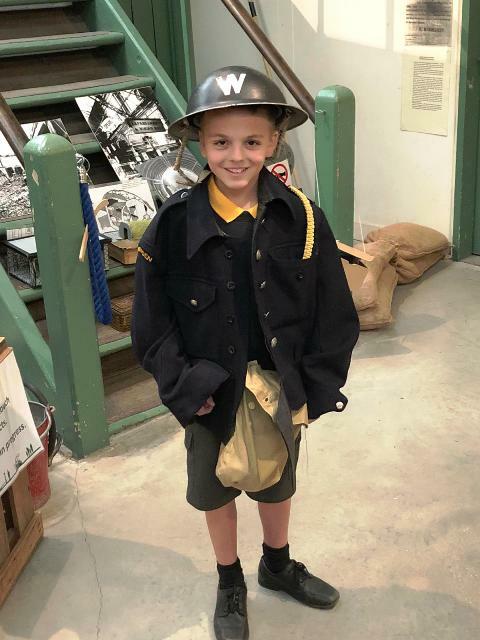 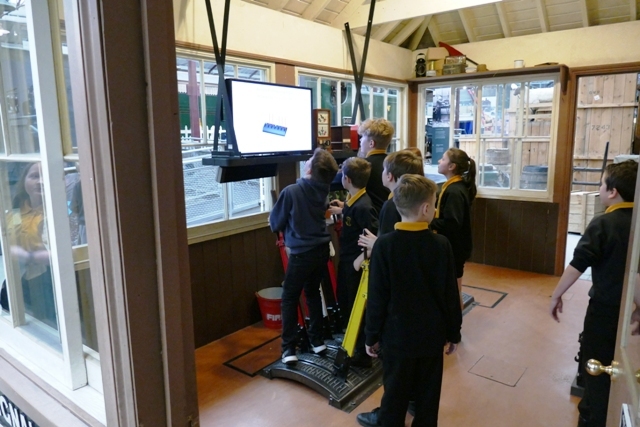 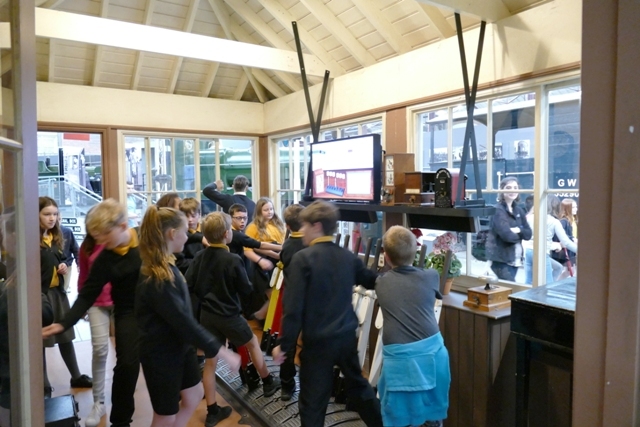 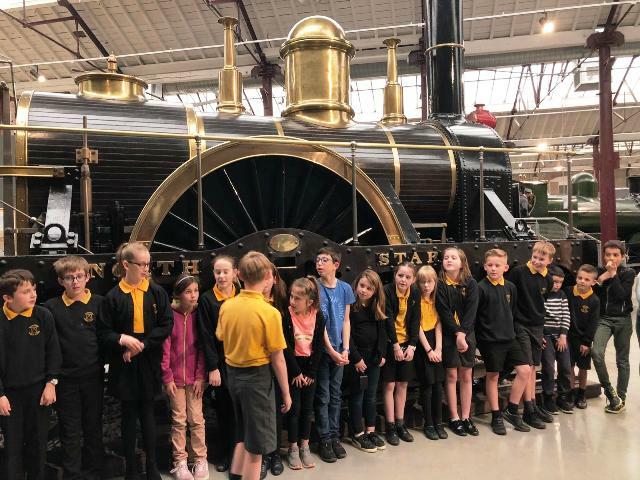 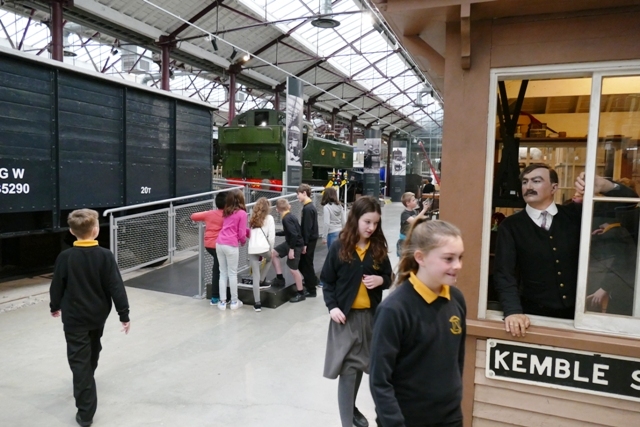 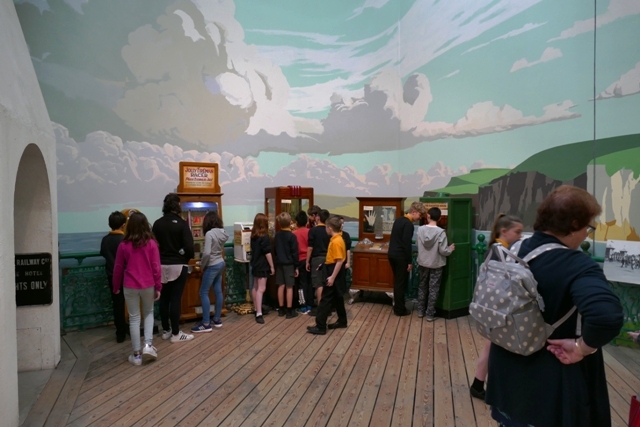 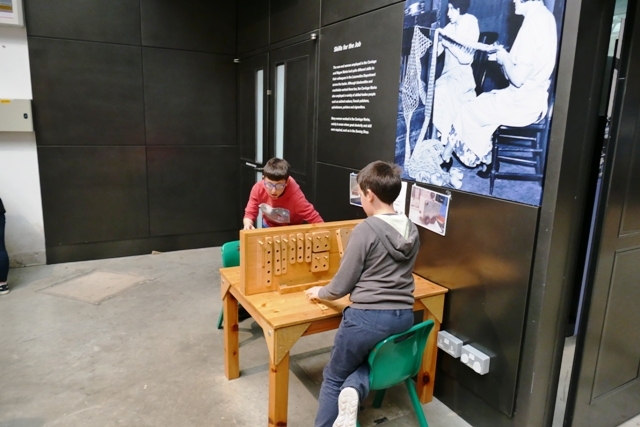 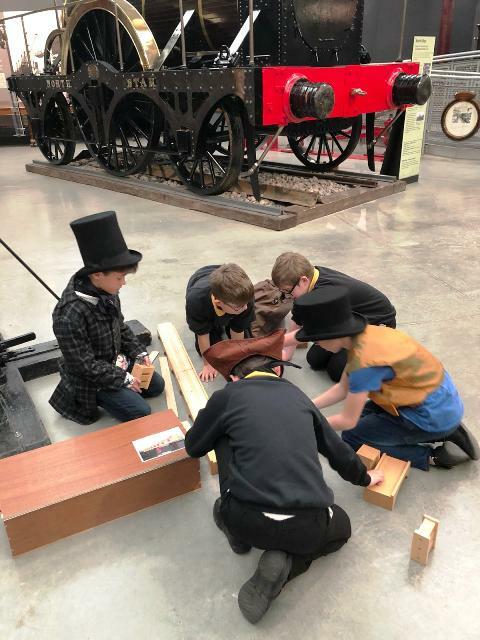 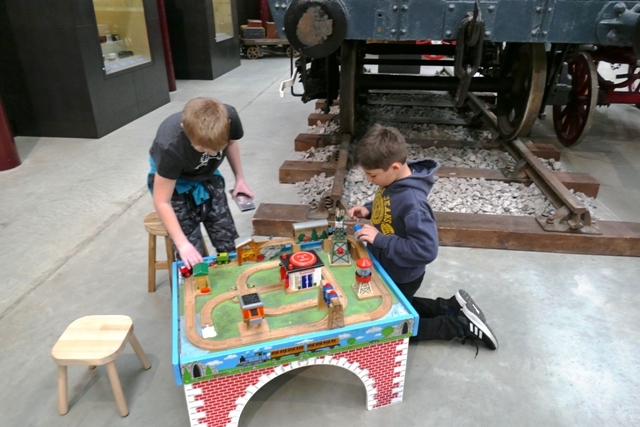 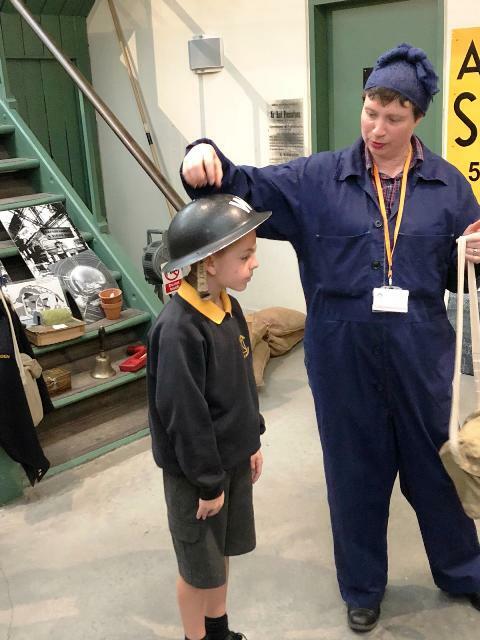 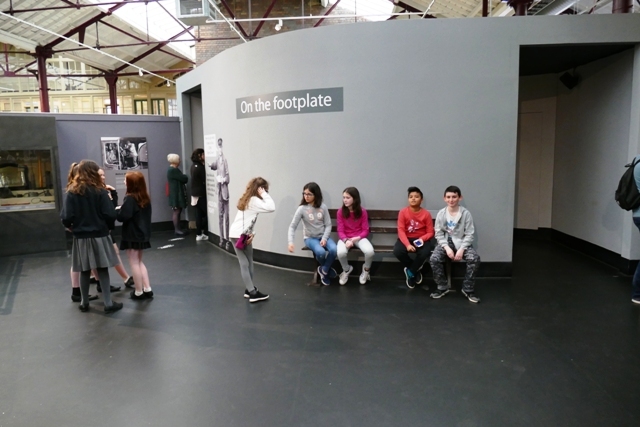 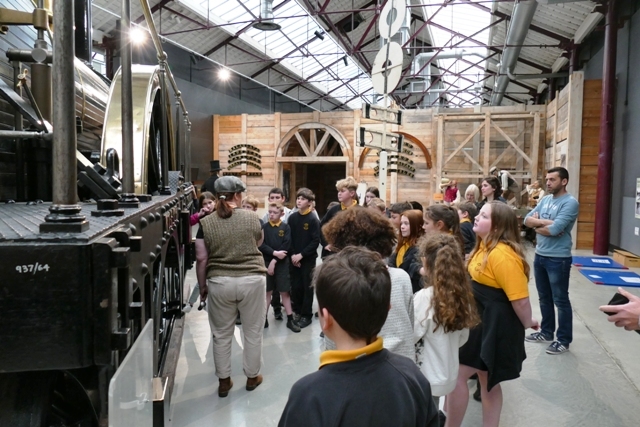 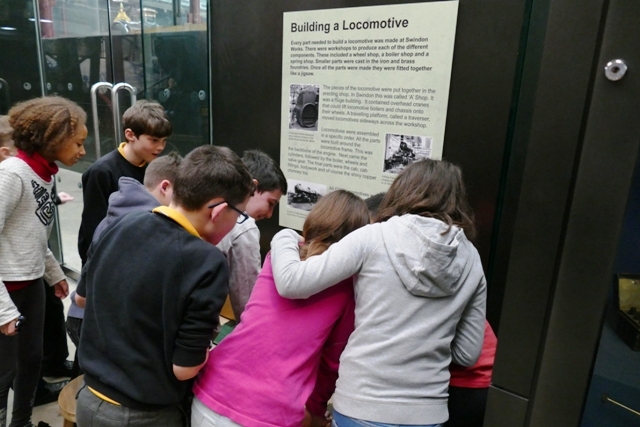 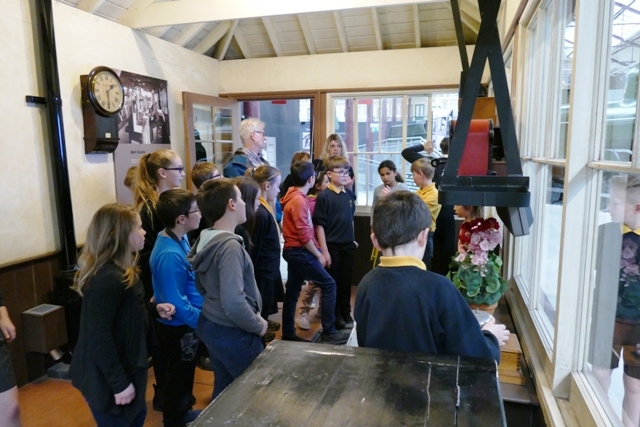 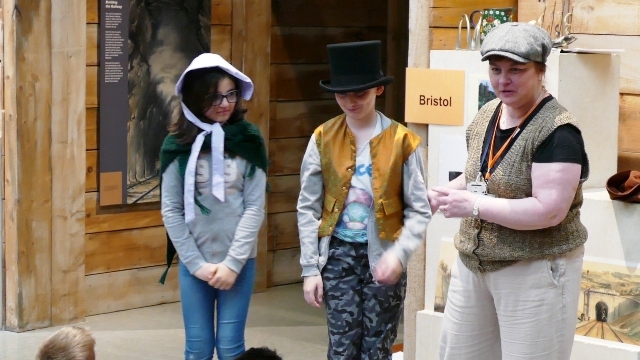 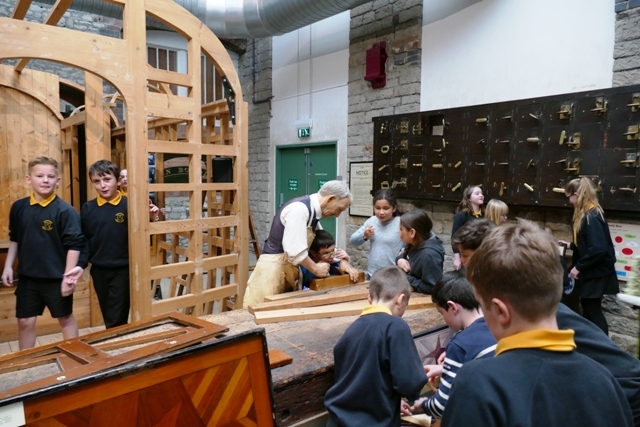 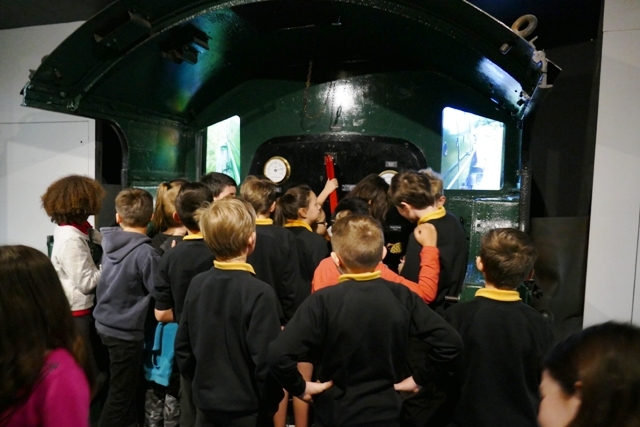 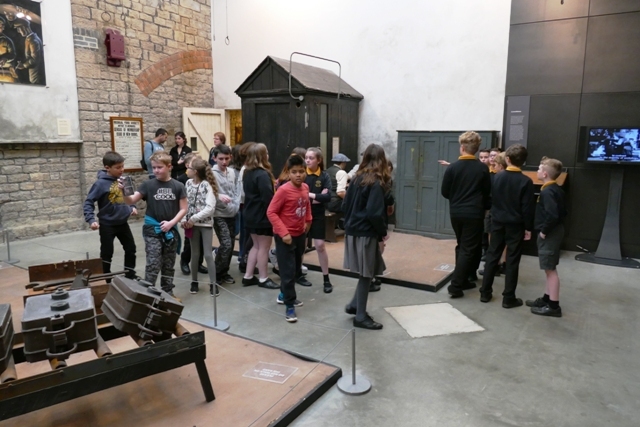 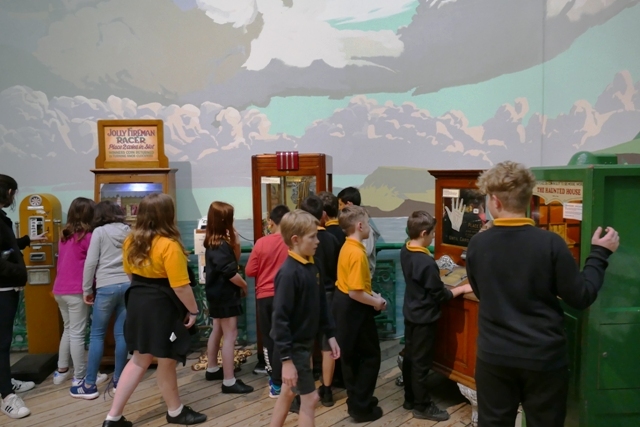 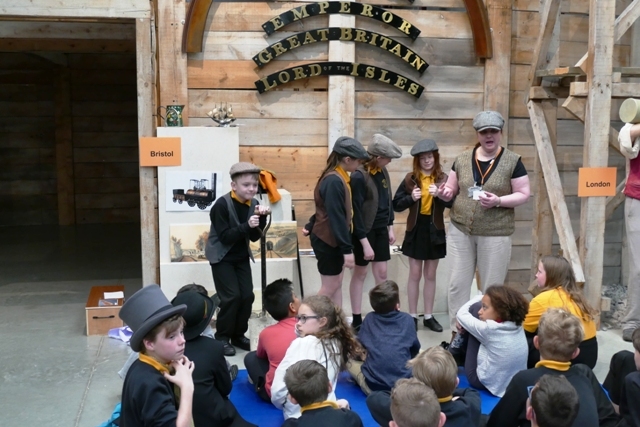 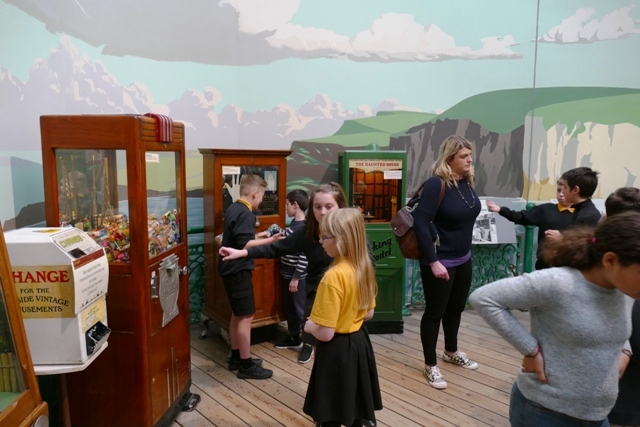 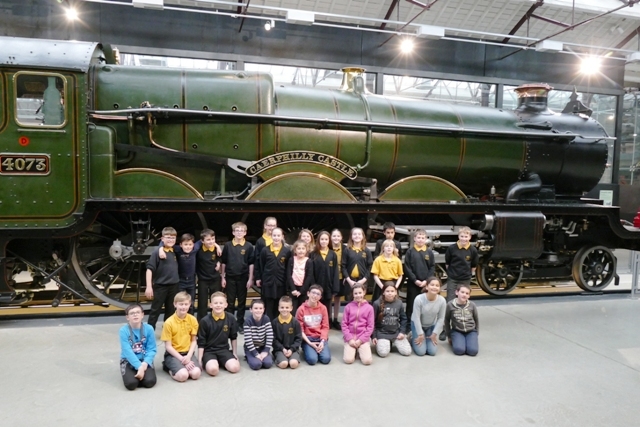 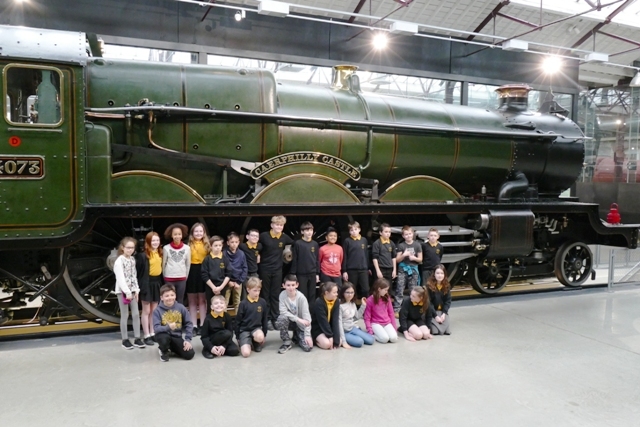 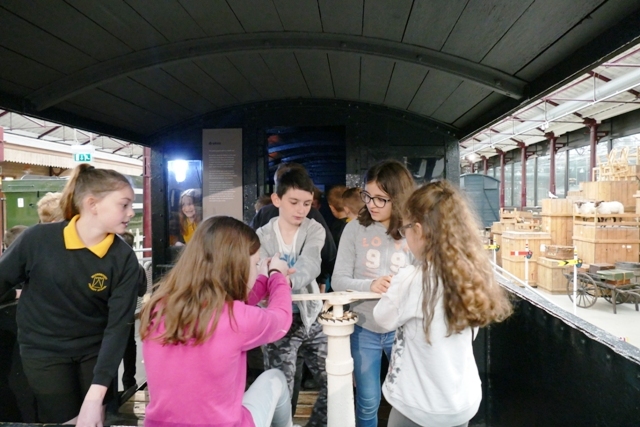 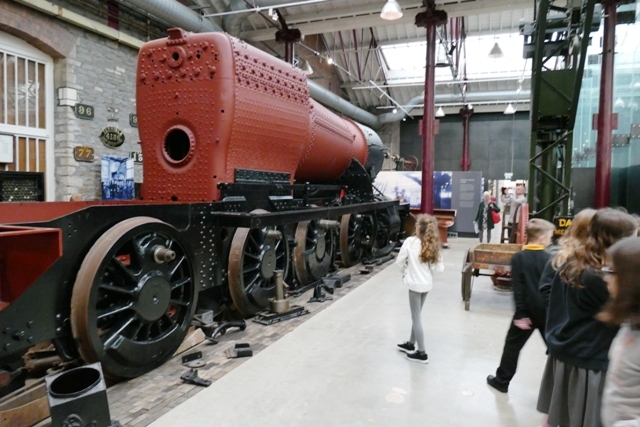 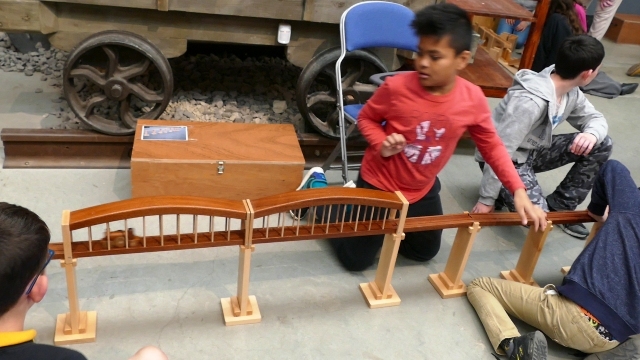 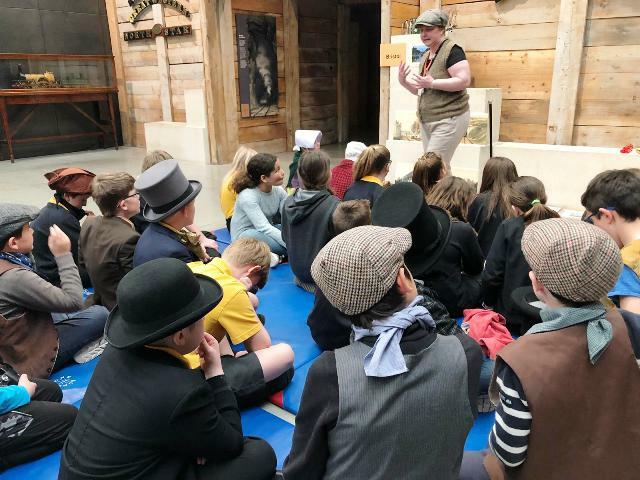 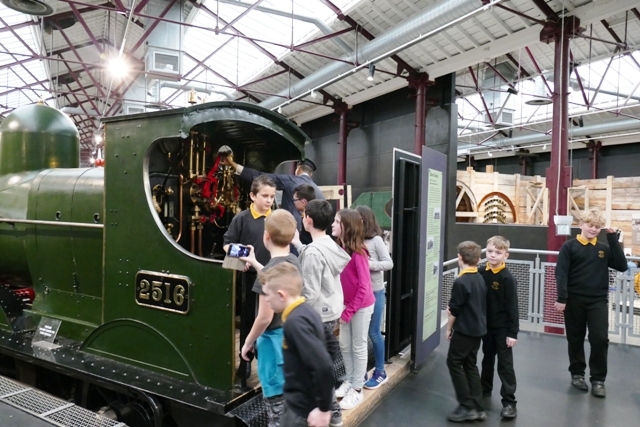 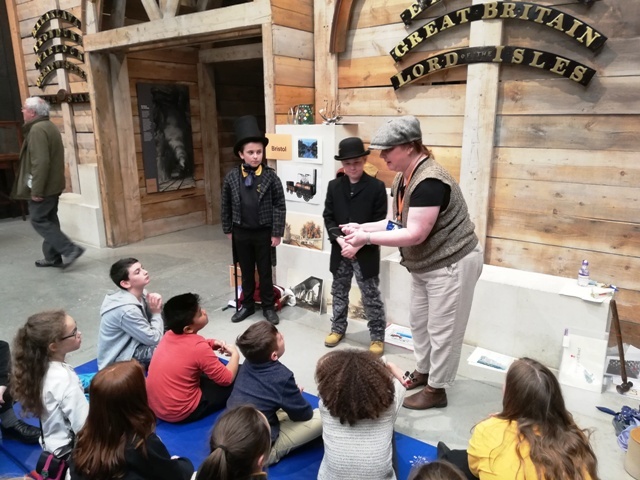 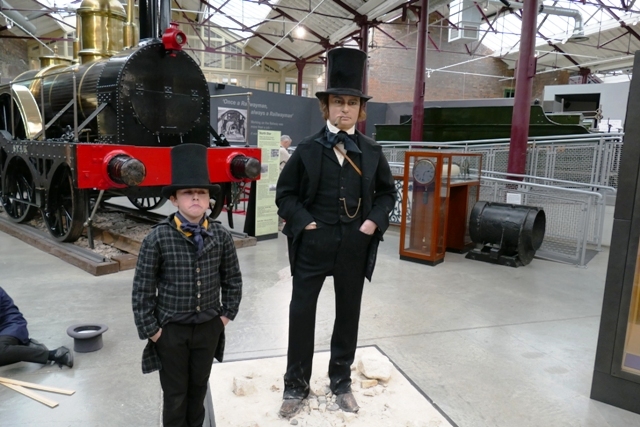 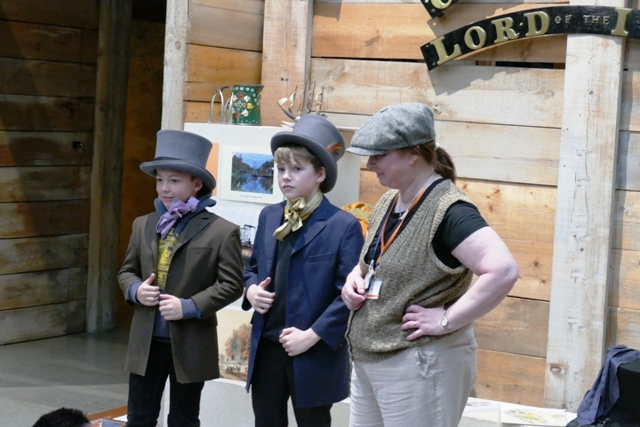 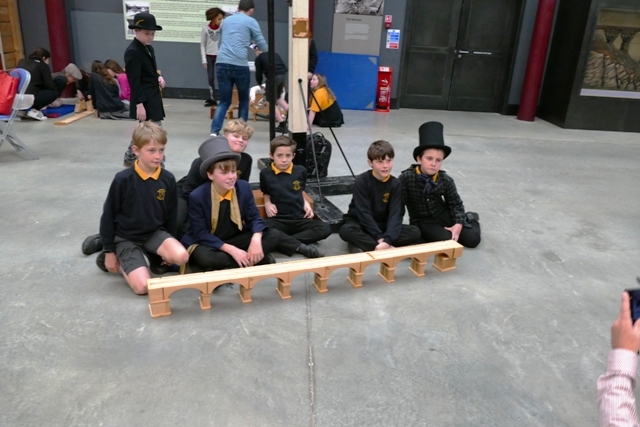 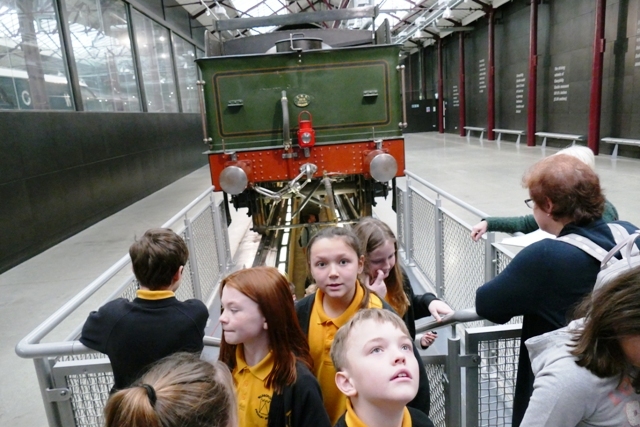 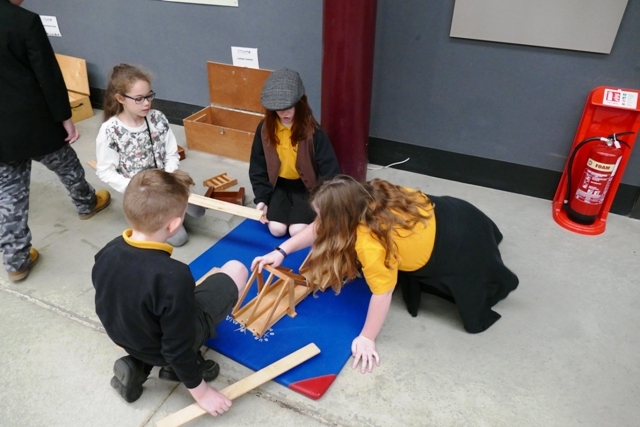 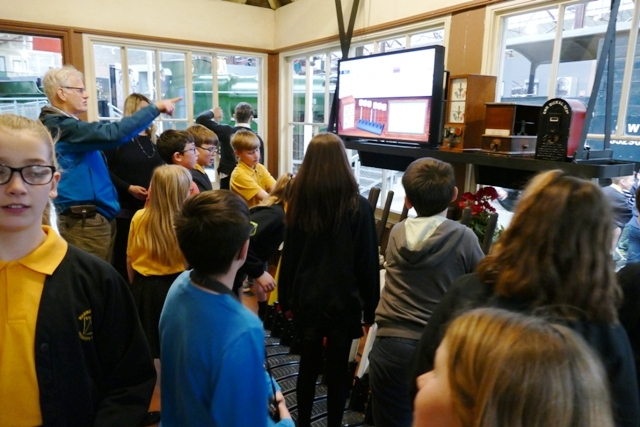 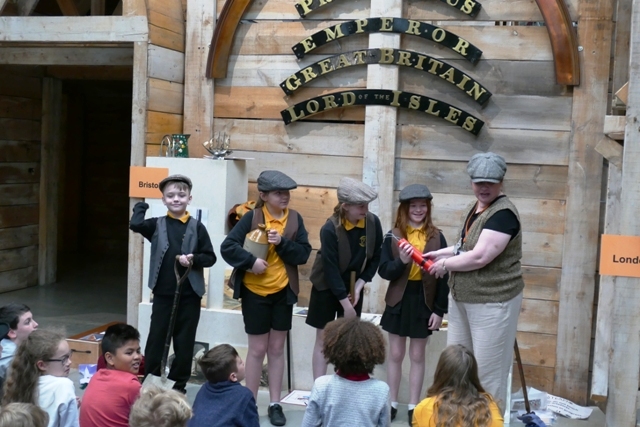 Pupils from both schools visited STEAM, the museum of the Great Western Railway in Swindon. 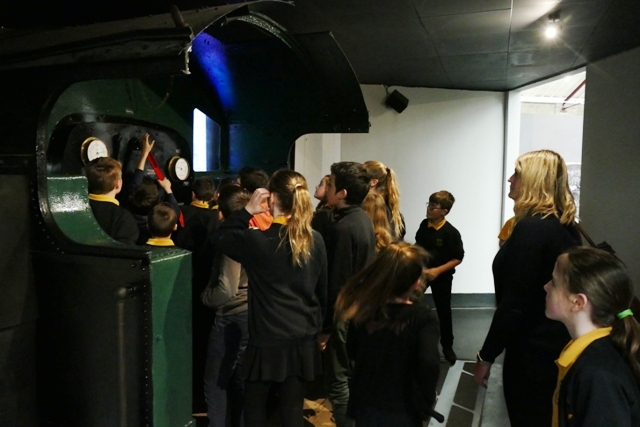 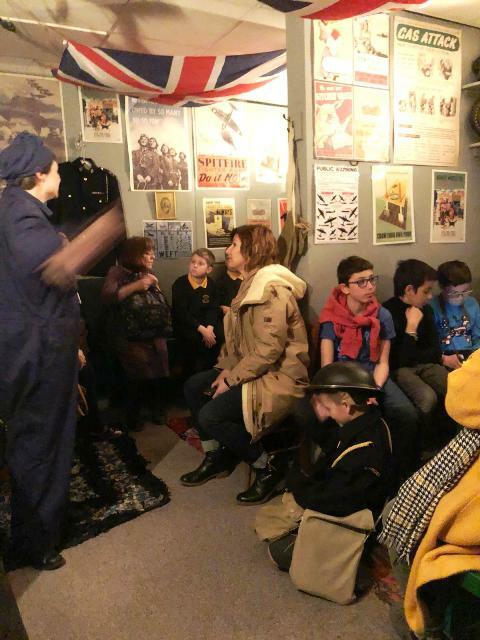 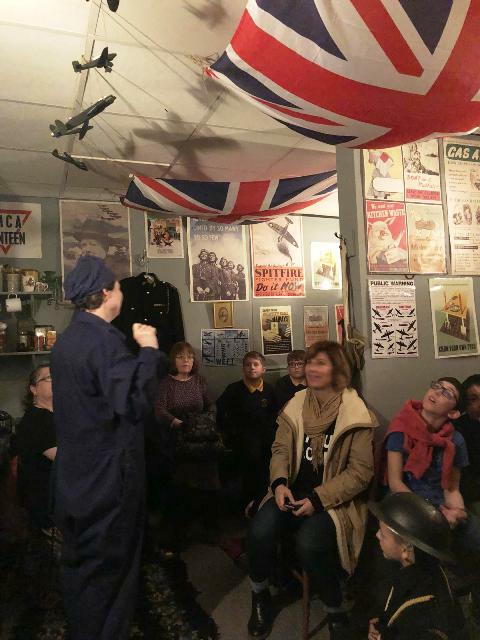 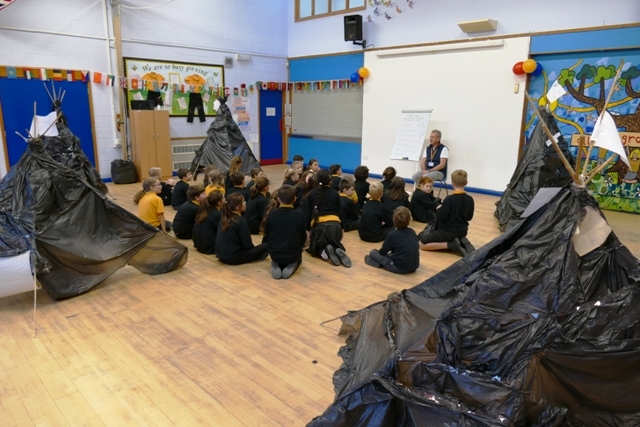 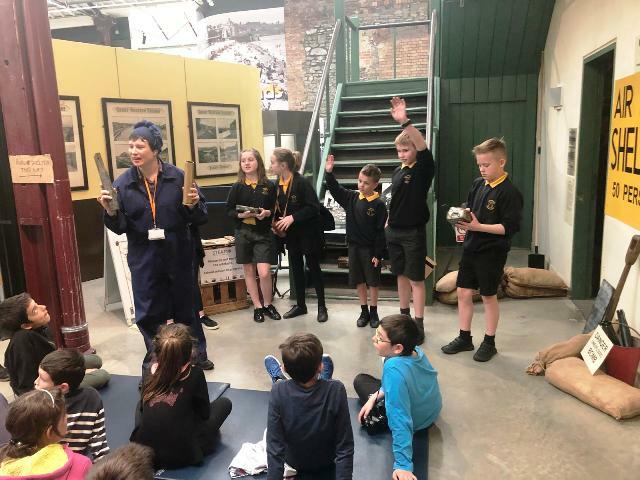 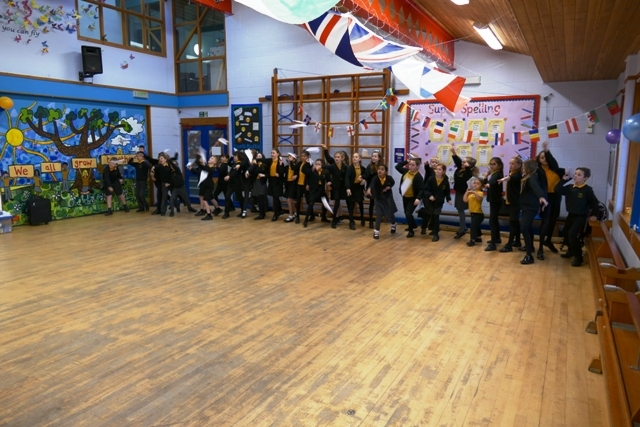 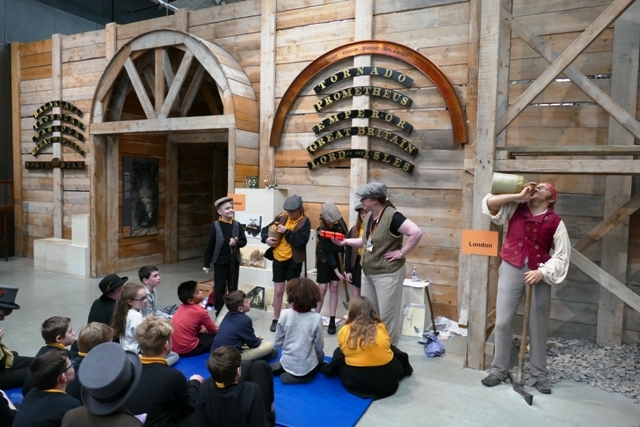 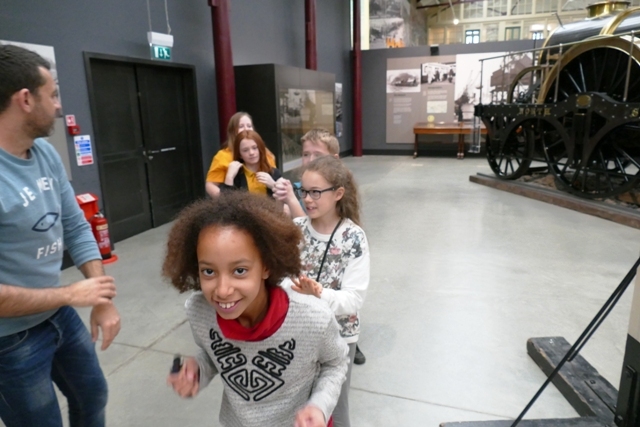 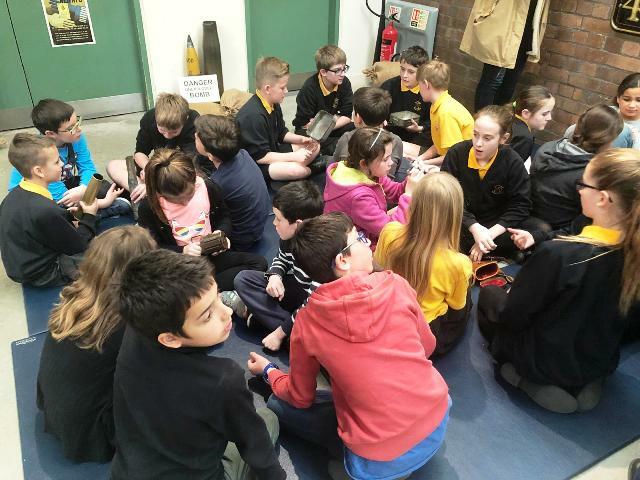 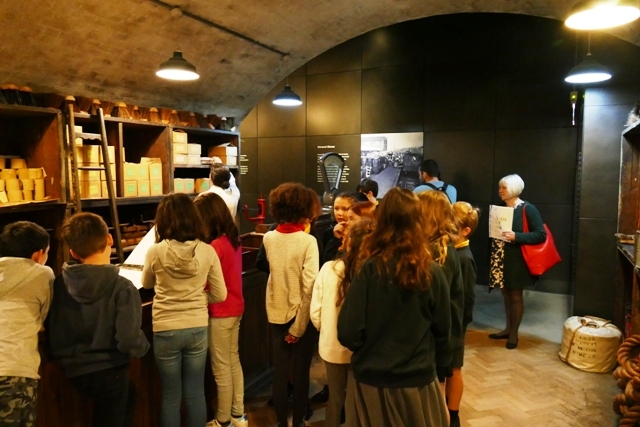 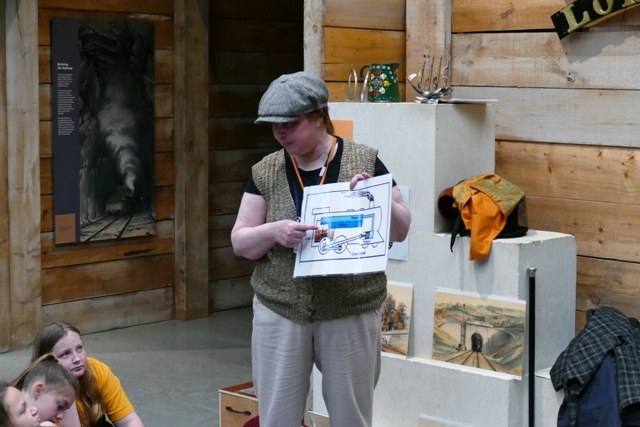 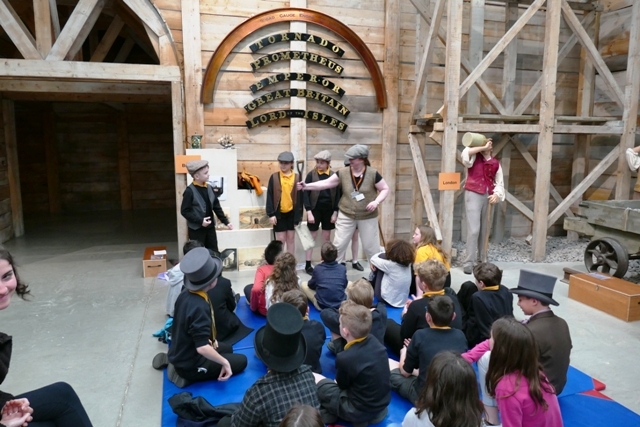 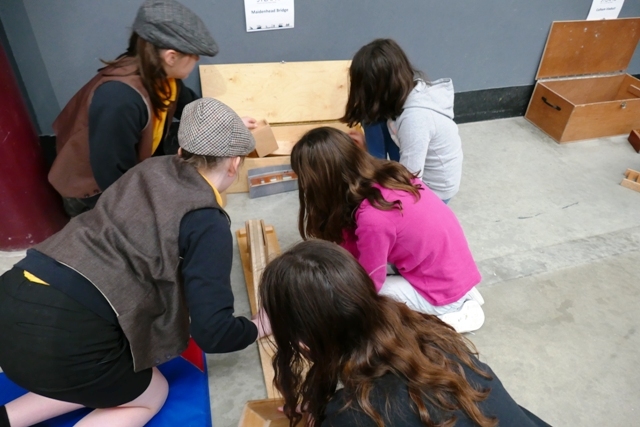 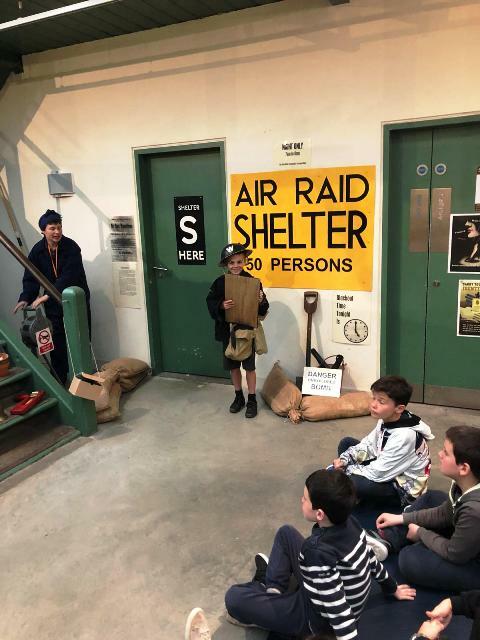 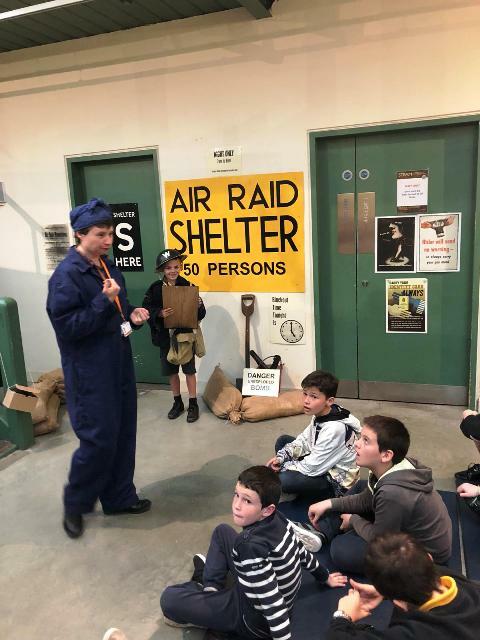 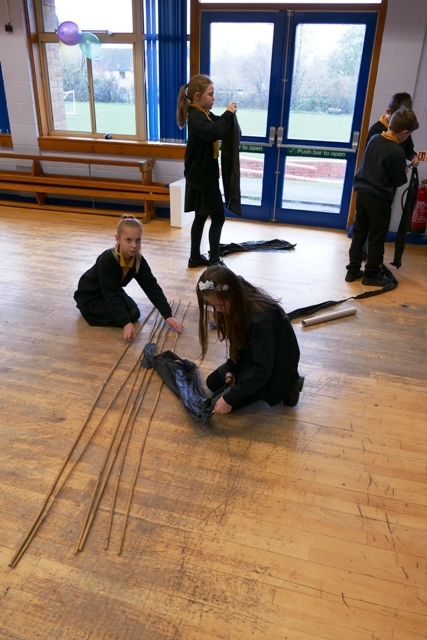 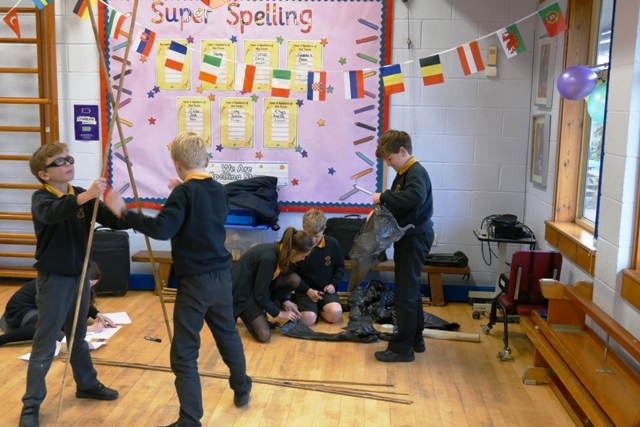 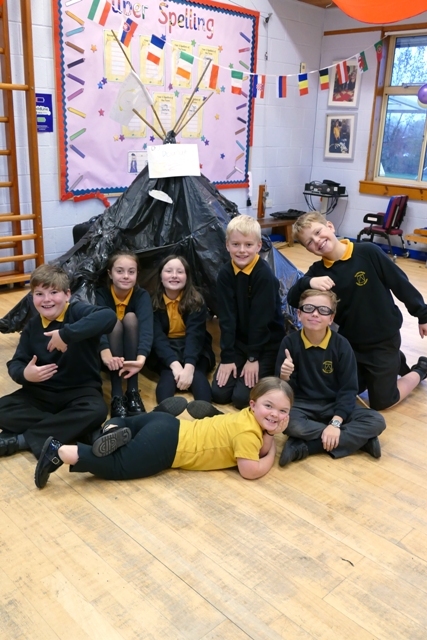 They split into two groups and both groups took part in two activities: The Railway Evolution and Air Raid Discovery. 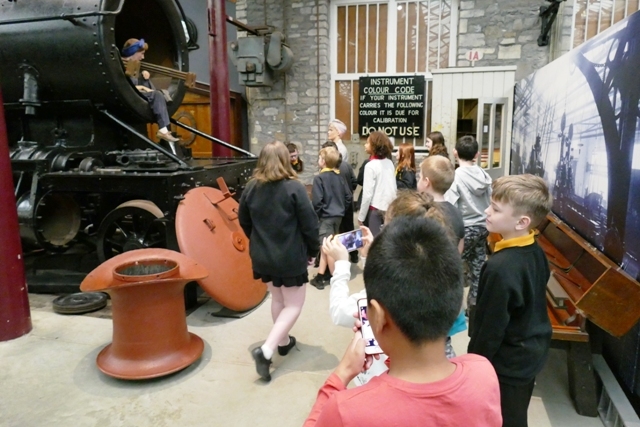 Both groups also had time to take a tour of the museum. 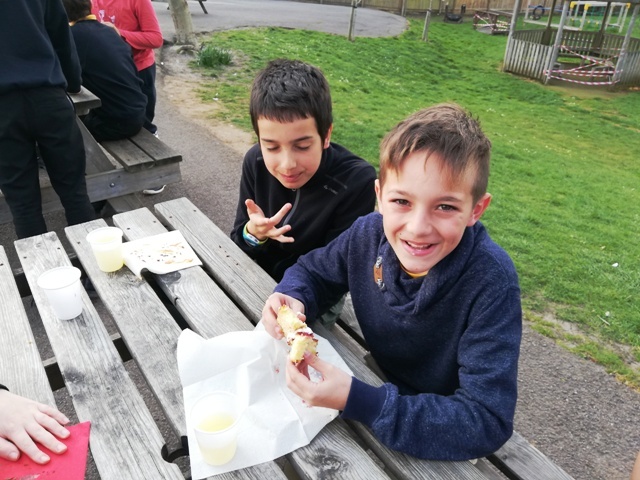 it is important to have goals and want to be successful, this is what makes us get out of bed in the morning and achieve! 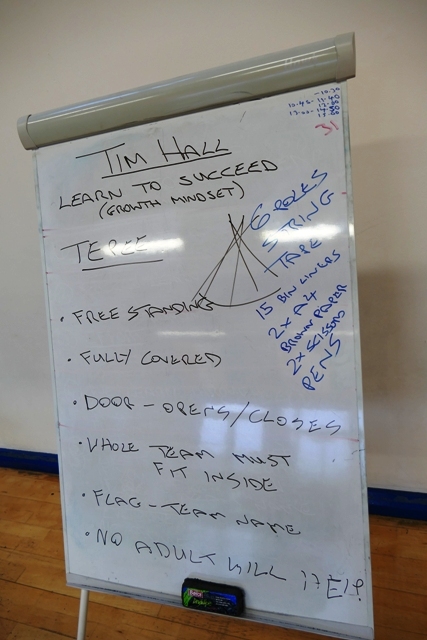 we can learn anything- if we really want to! 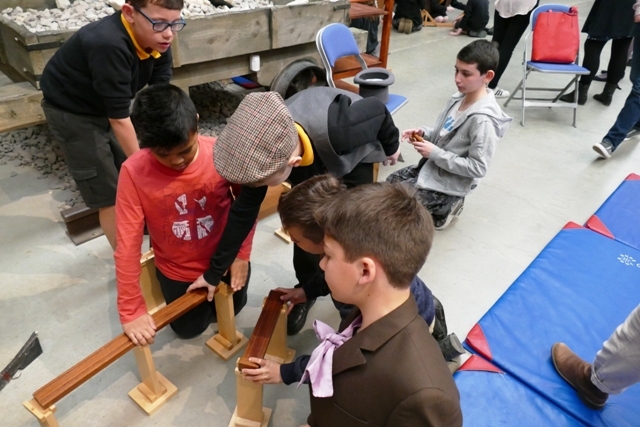 life is so much easier if we get on with everyone! 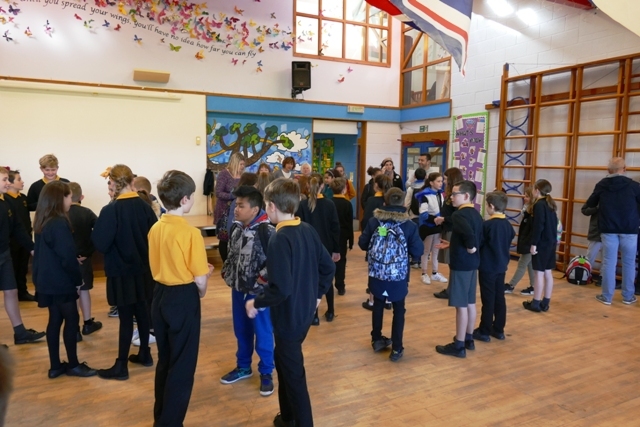 The workshops are fun, interactive and fast paced. 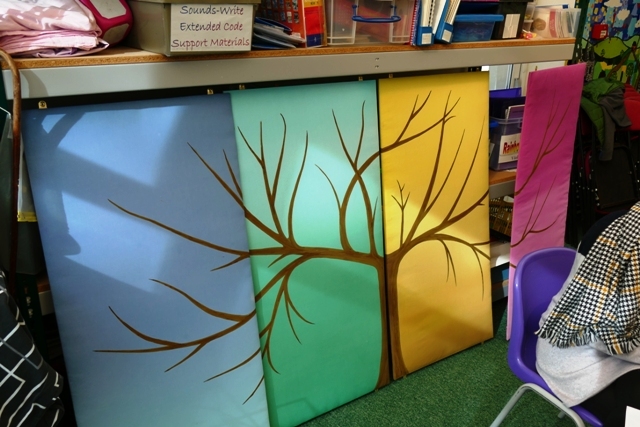 They are designed to 'kick-off' or build on your 'growth mindset' work within school. 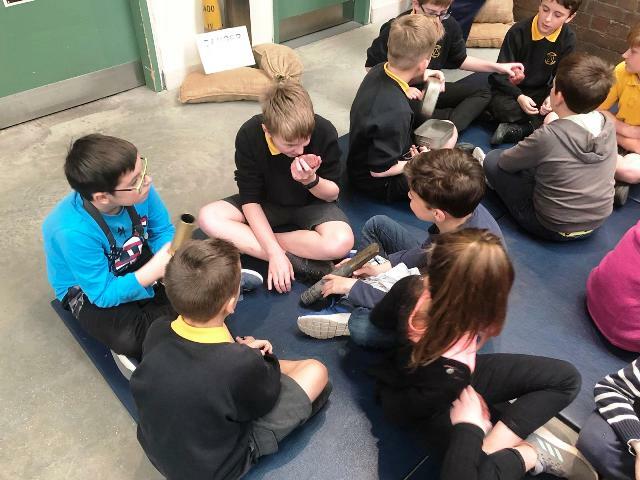 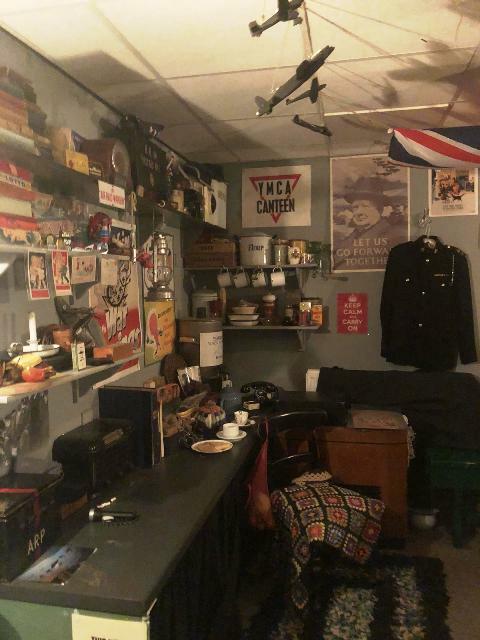 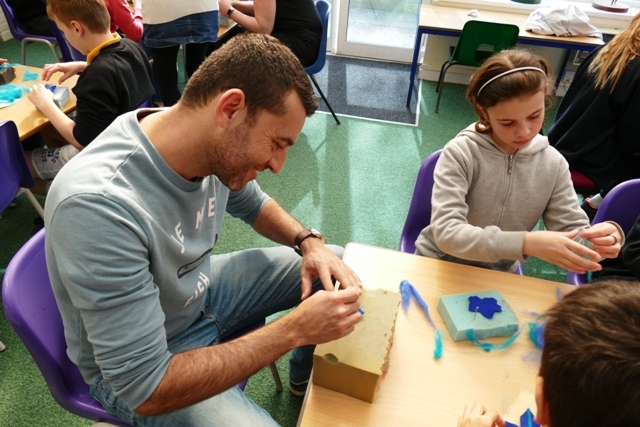 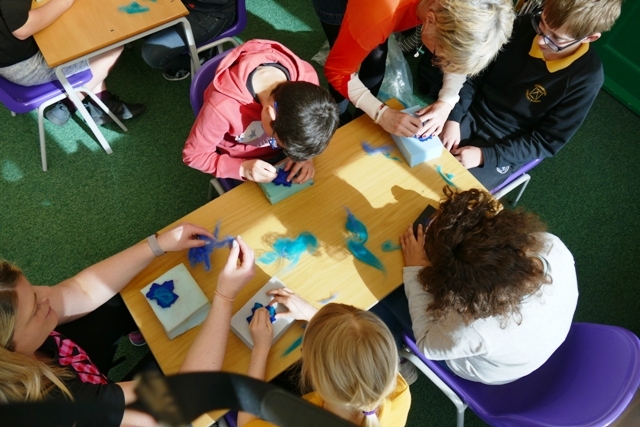 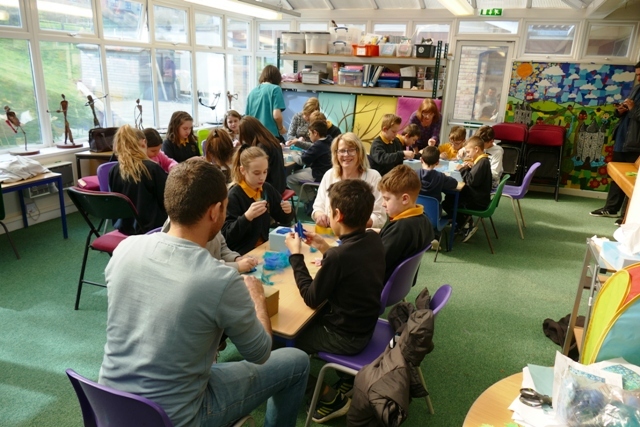 As well as being motivational, the workshops are designed to bring out enterprising and character building behaviours such as self-starting, team working, resilience, problem solving, effective communication, willingness to take a risk, leading others and coming up with new ideas. 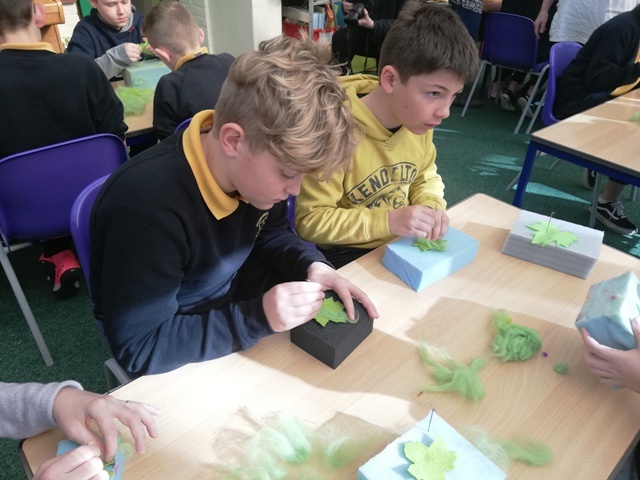 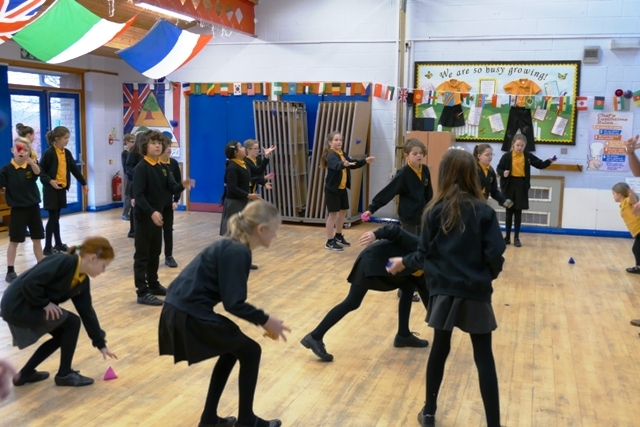 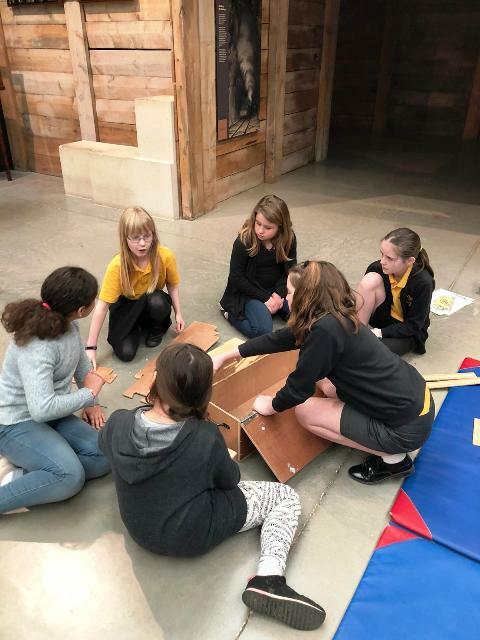 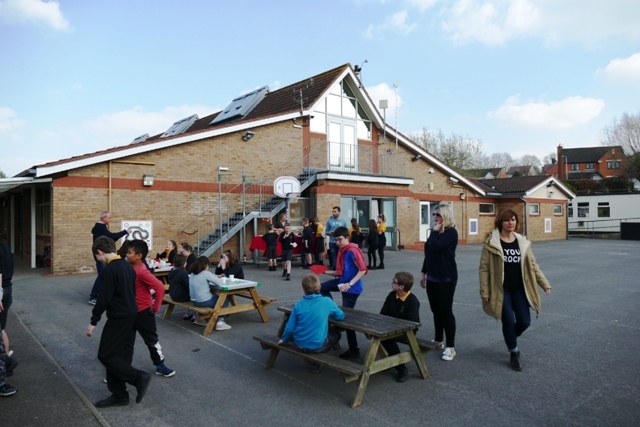 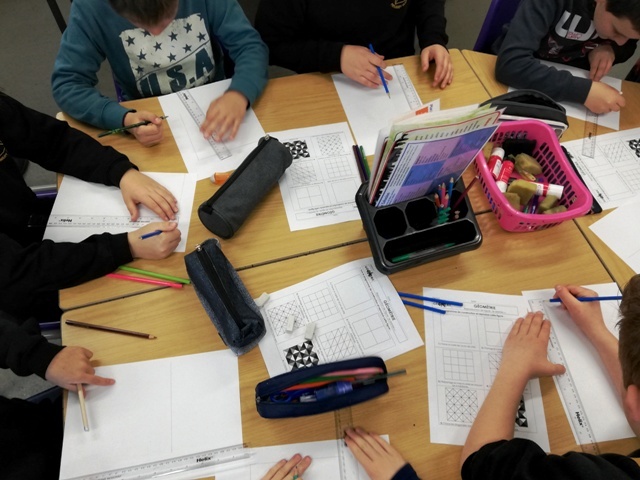 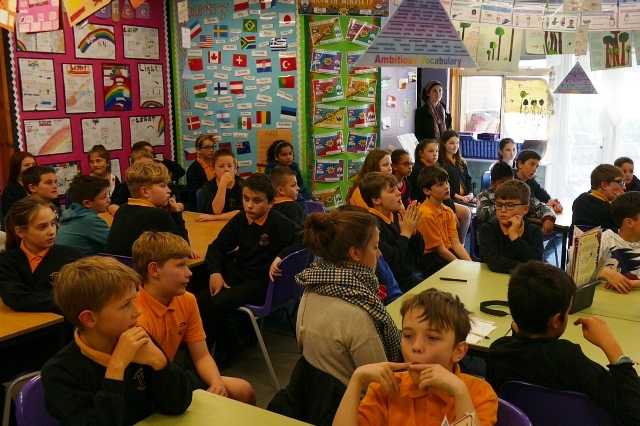 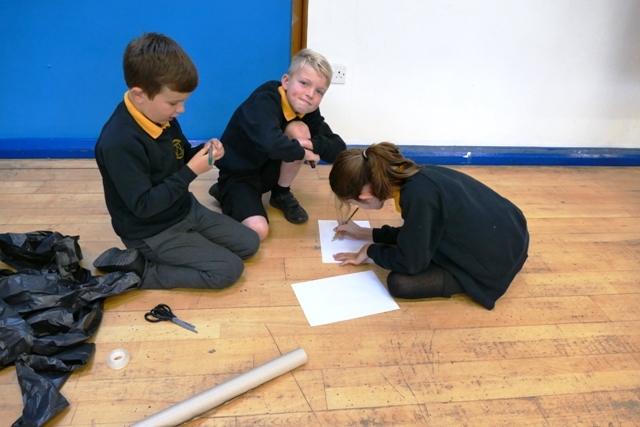 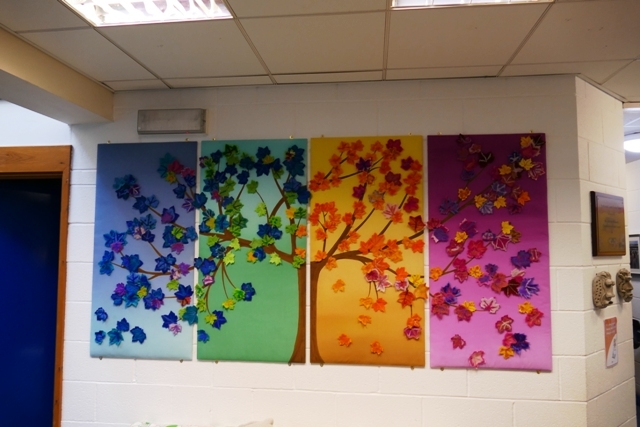 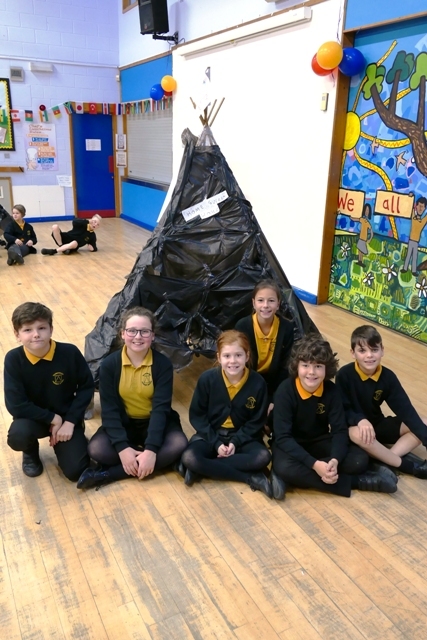 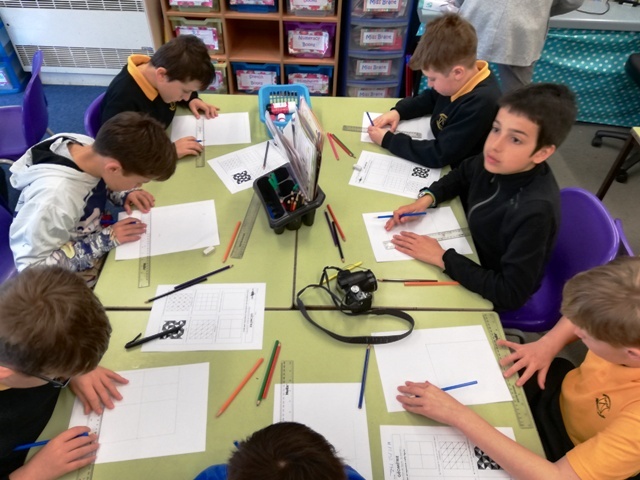 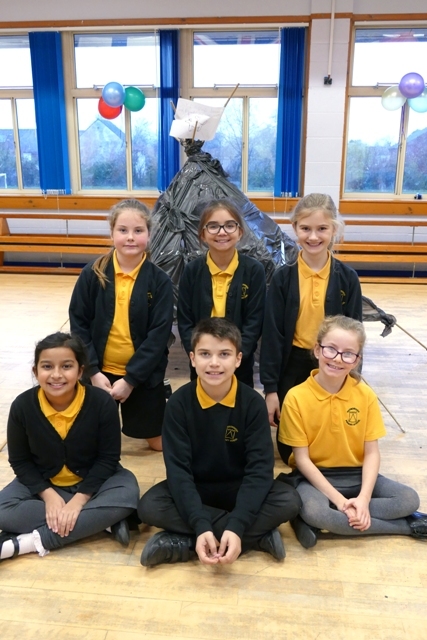 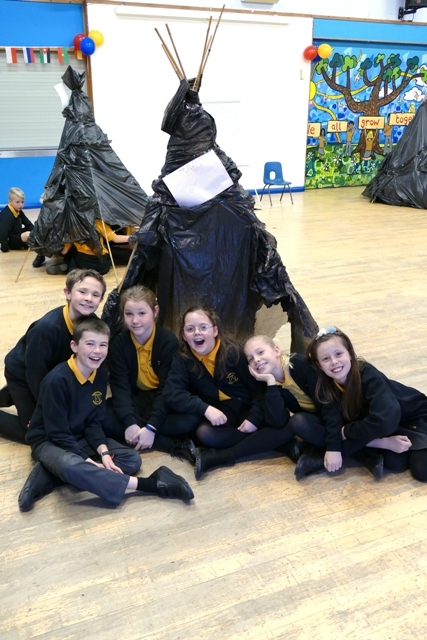 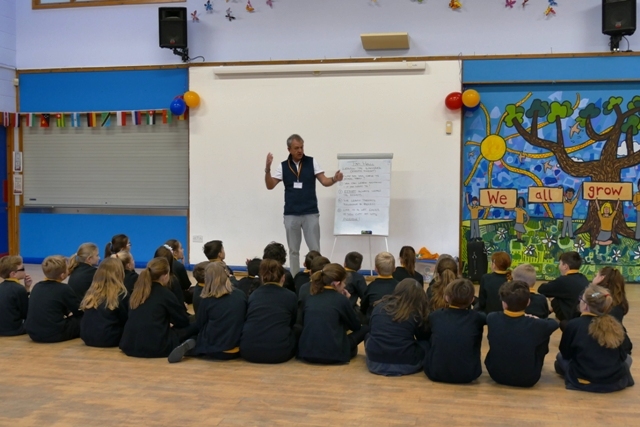 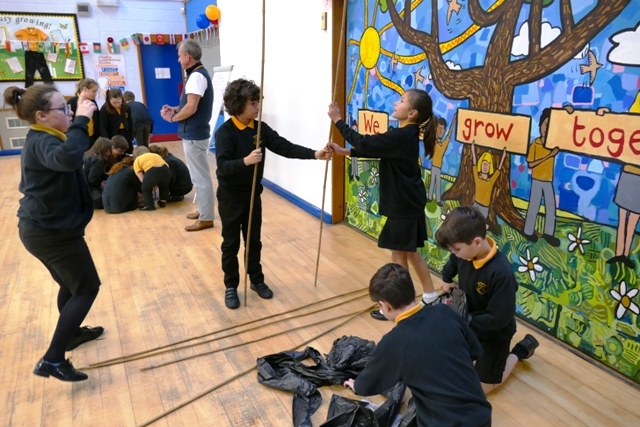 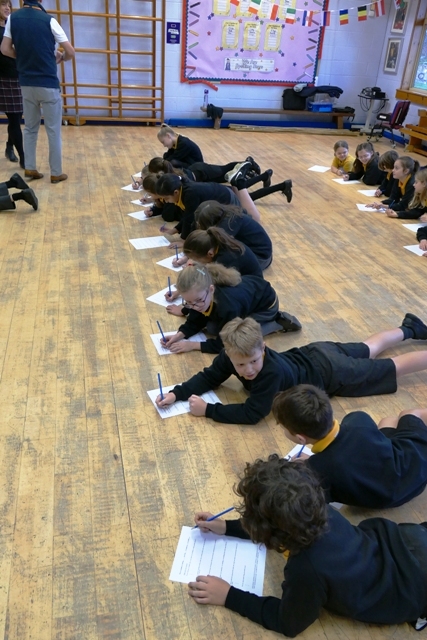 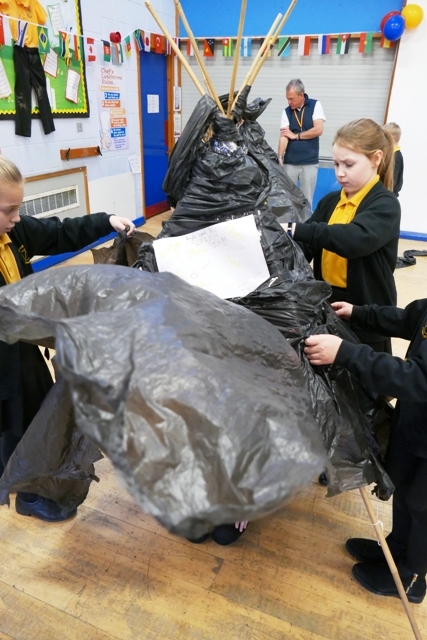 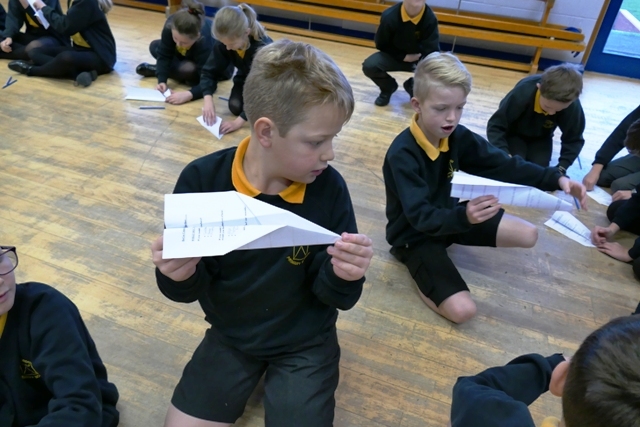 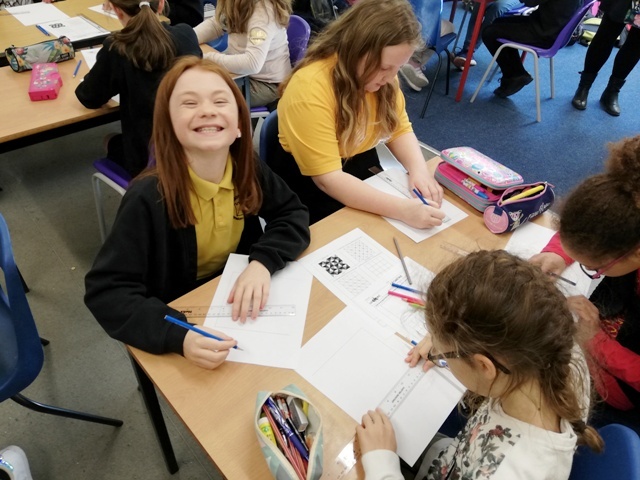 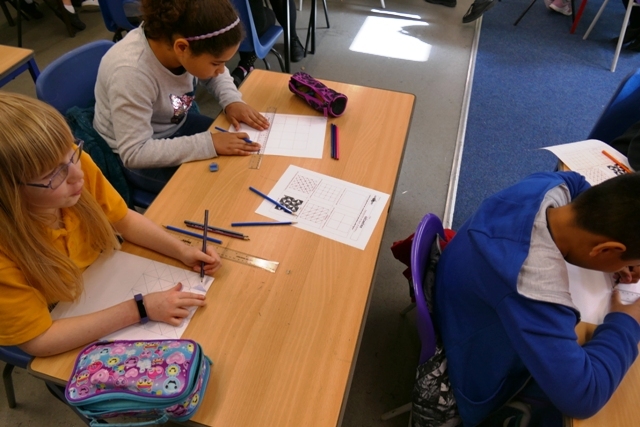 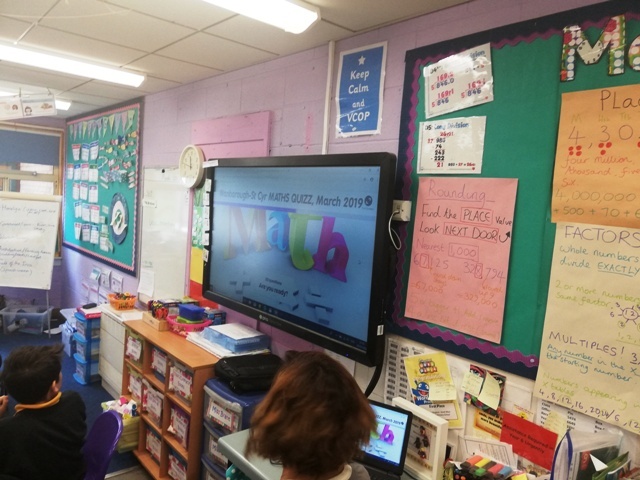 These pictures are of the Year 5 workshop, Year 6 and 4 took part in similar workshops, Year 2 and 3 have shorter, simpler workshops, but with the same underlying aim. 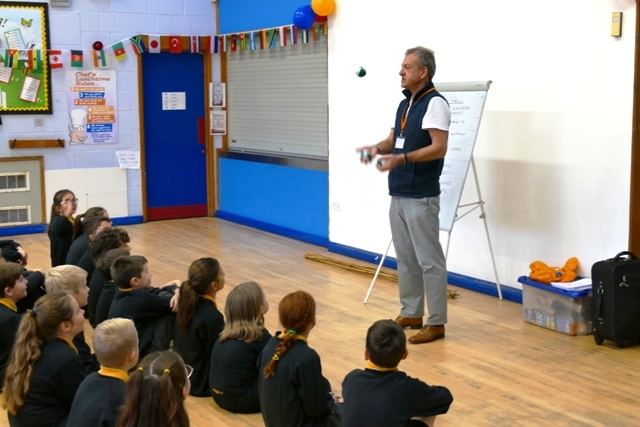 The workshop included learning new skills: The Pen Trick and Juggling, writing down your aspirations in life (no right or wrong answers!) 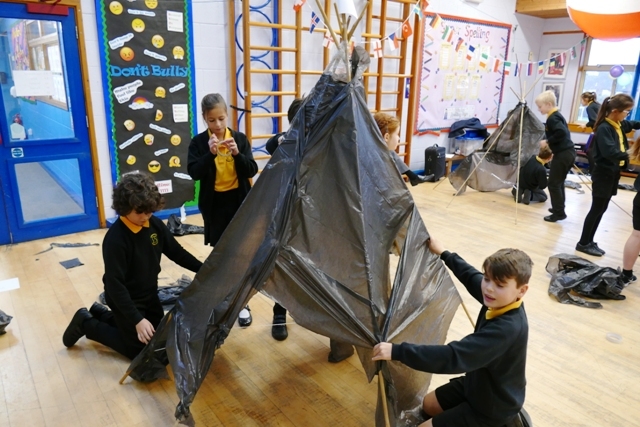 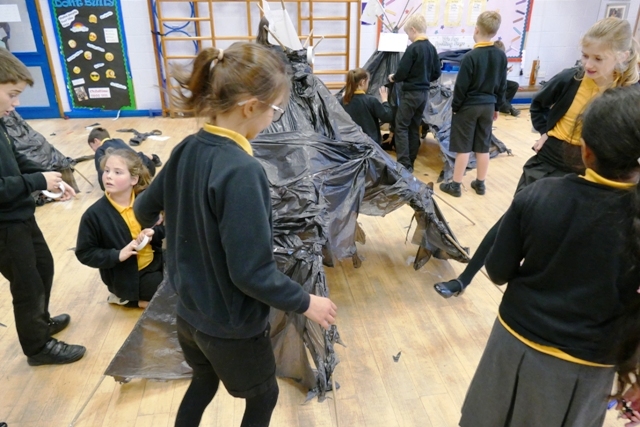 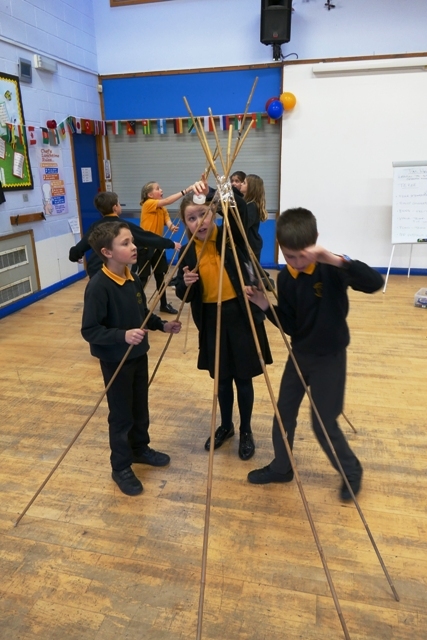 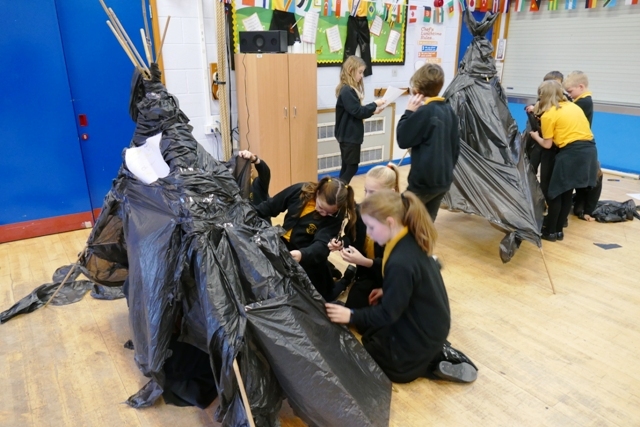 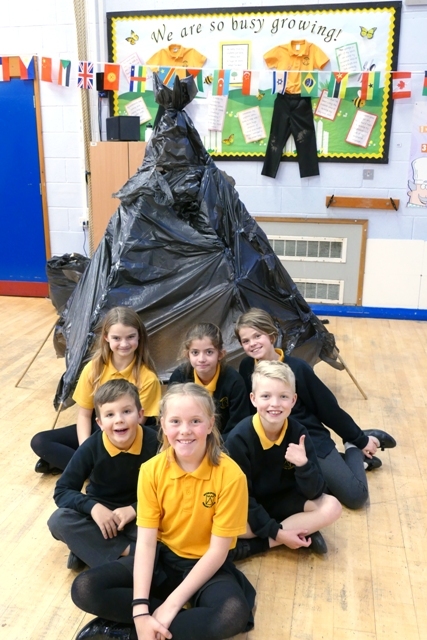 and working collaboratively in teams, in this case to make a teepee. 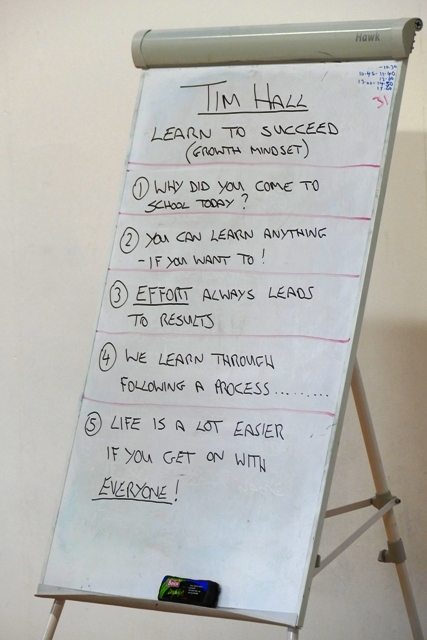 All this was to supported by reinforcement of the key points listed above and how these apply to life in school and beyond. 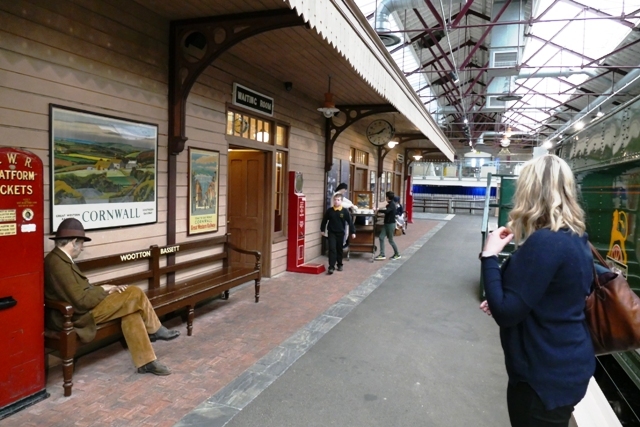 Swindon Advertiser Report on the project. 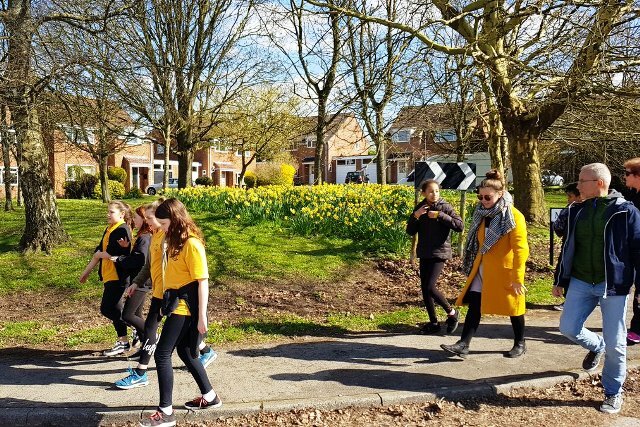 Youngminds - "We're leading the fight for a future where all young minds are supported and empowered, whatever the challenges."